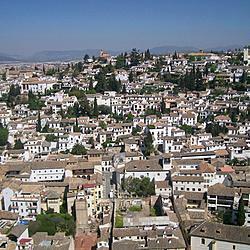 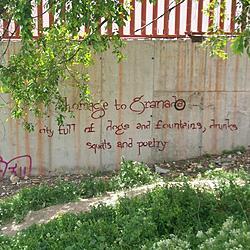 Granada, land of my dreams… Your thin arabesque calles, your daunting yet inviting cuestas, your splendid miradores overlooking the city. 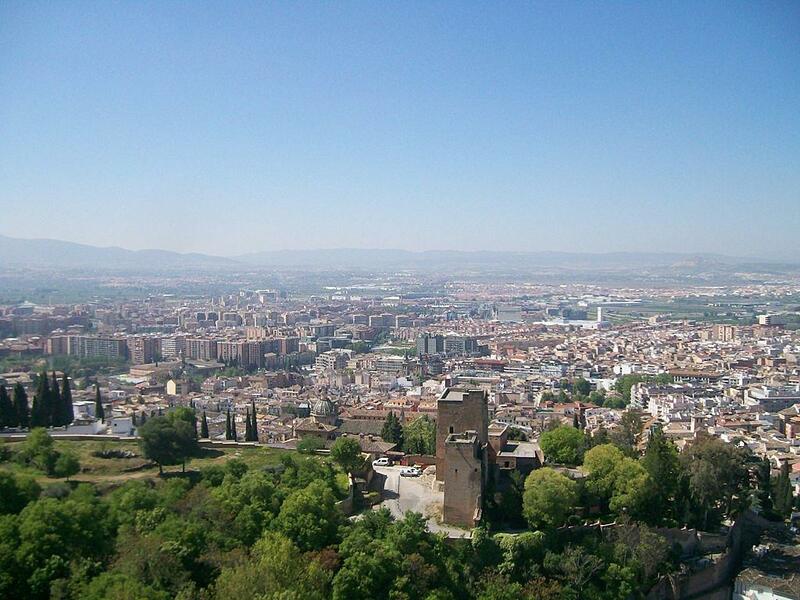 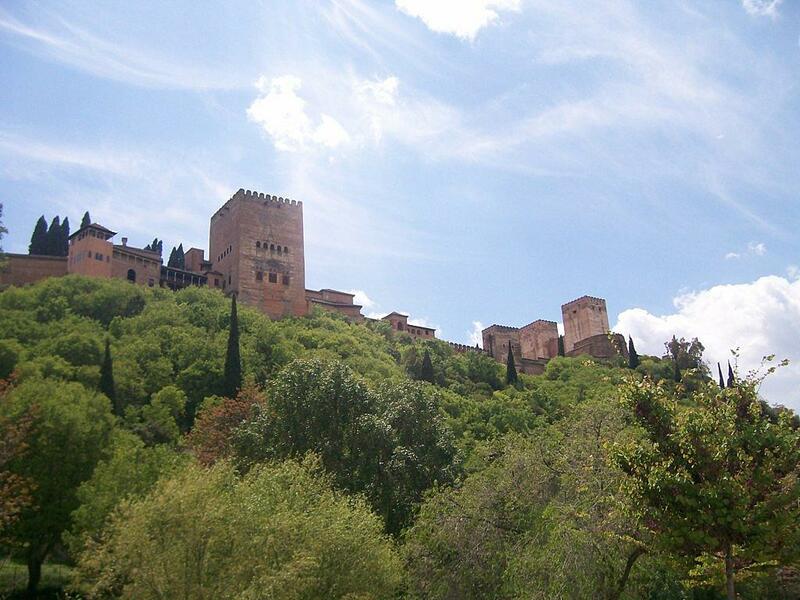 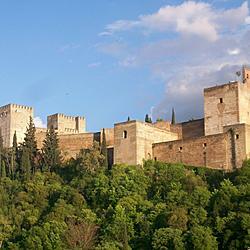 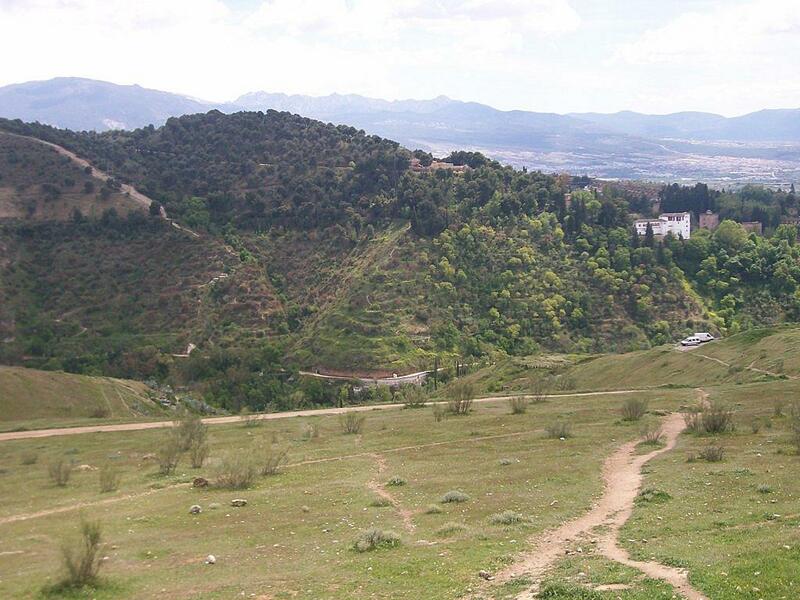 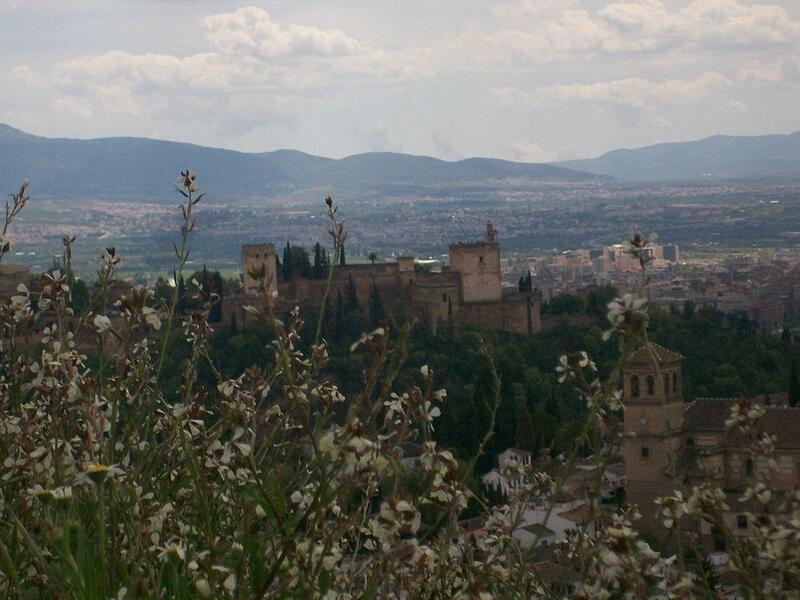 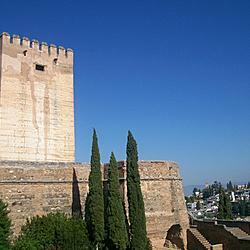 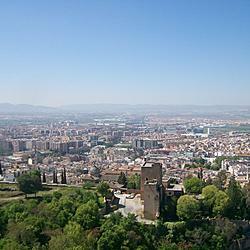 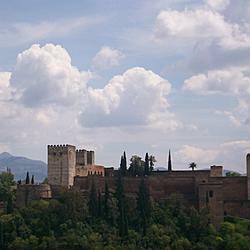 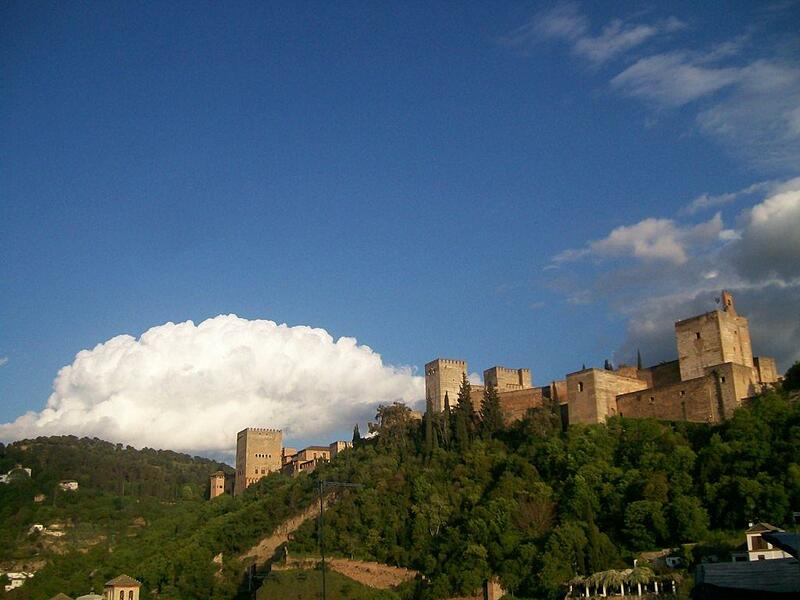 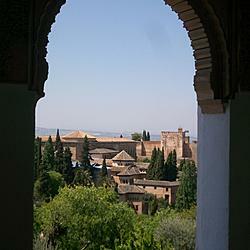 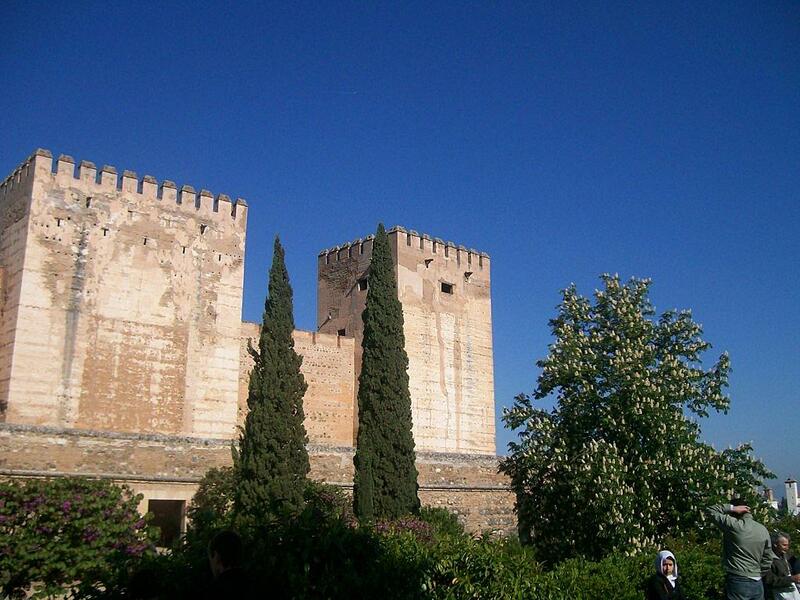 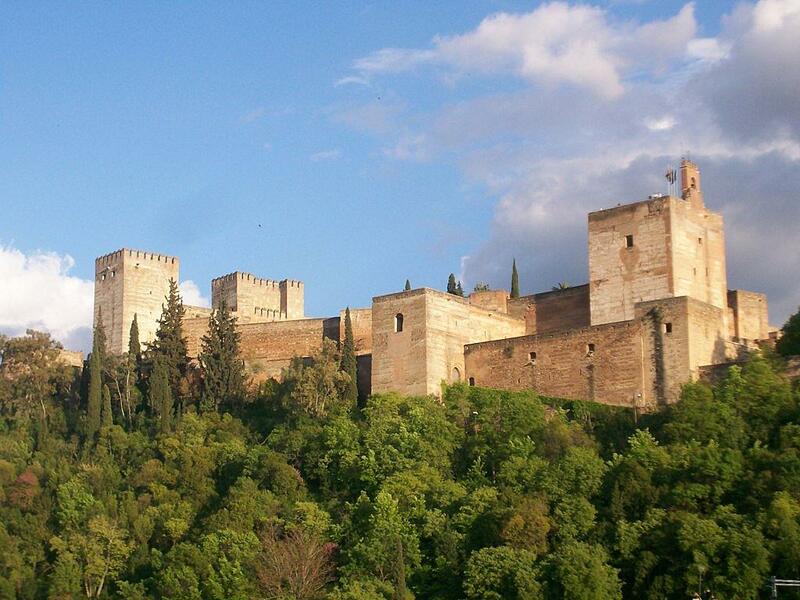 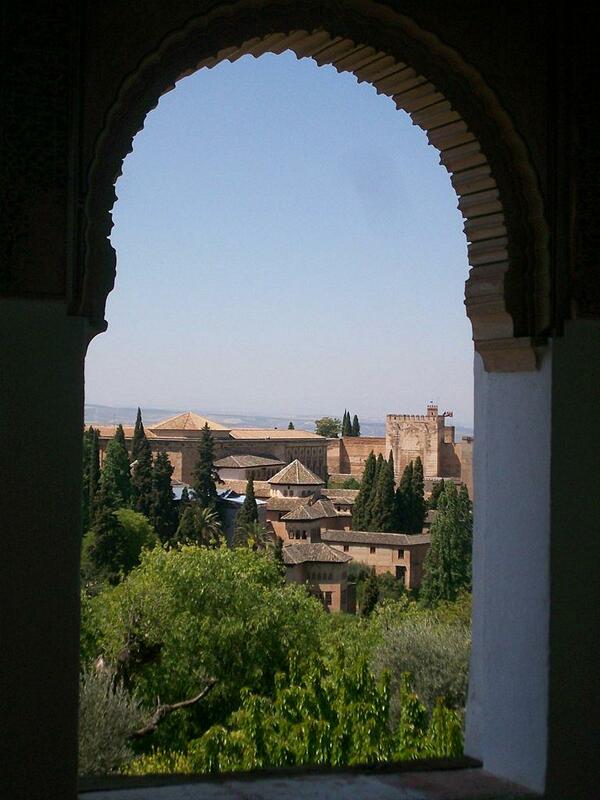 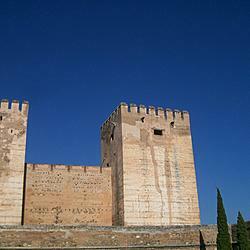 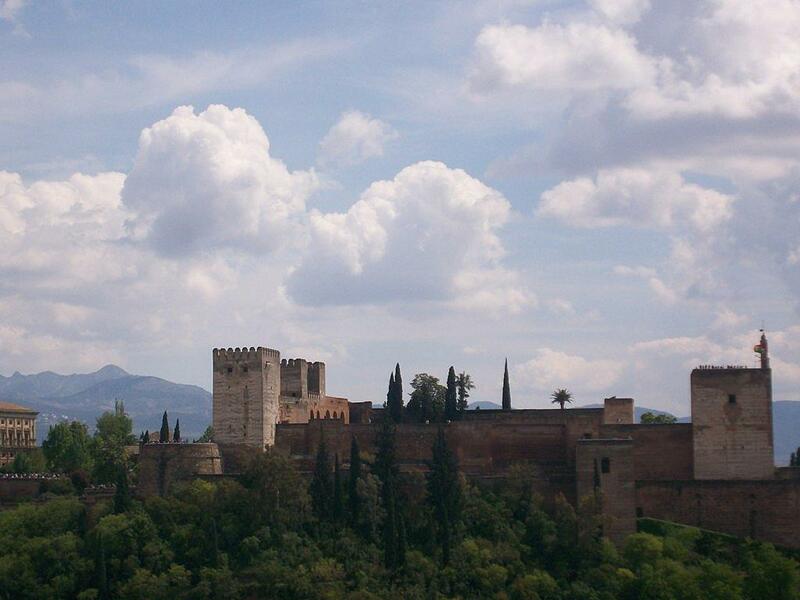 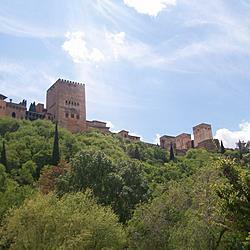 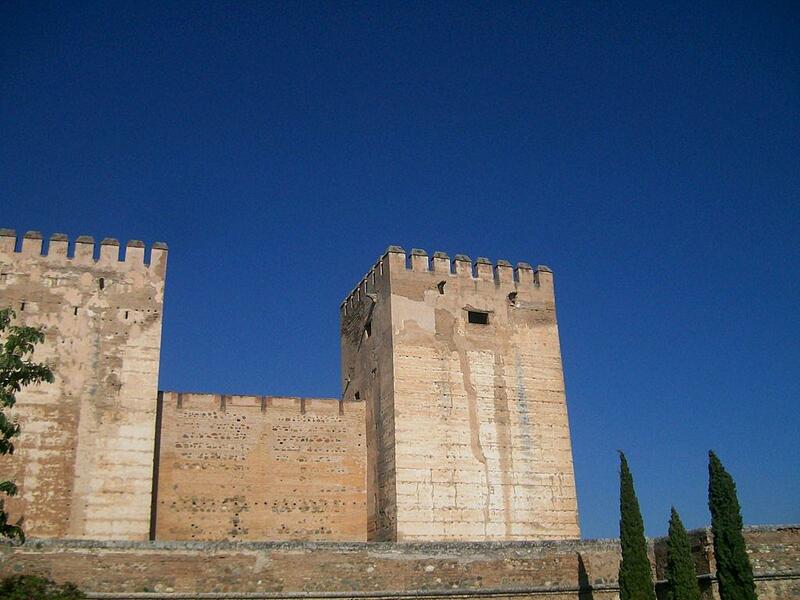 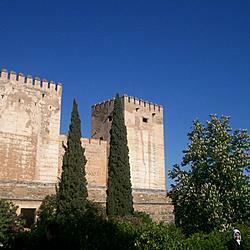 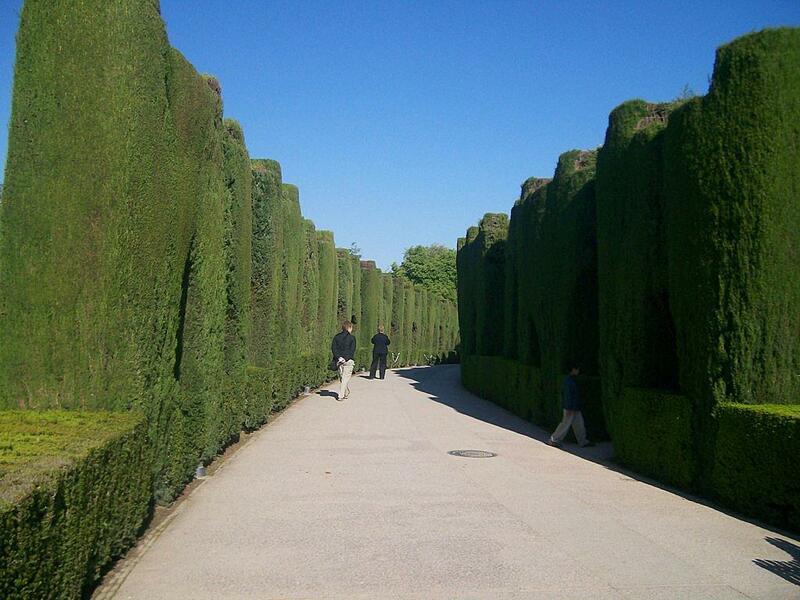 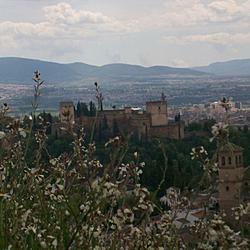 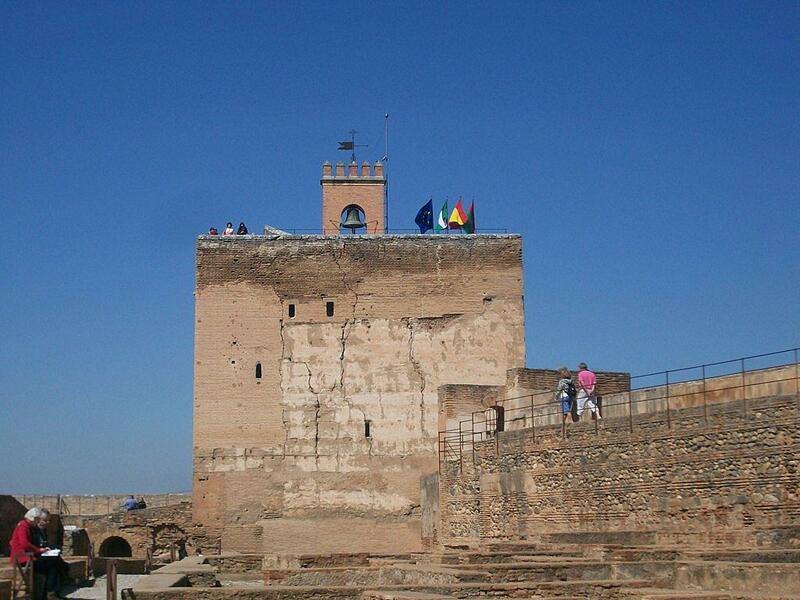 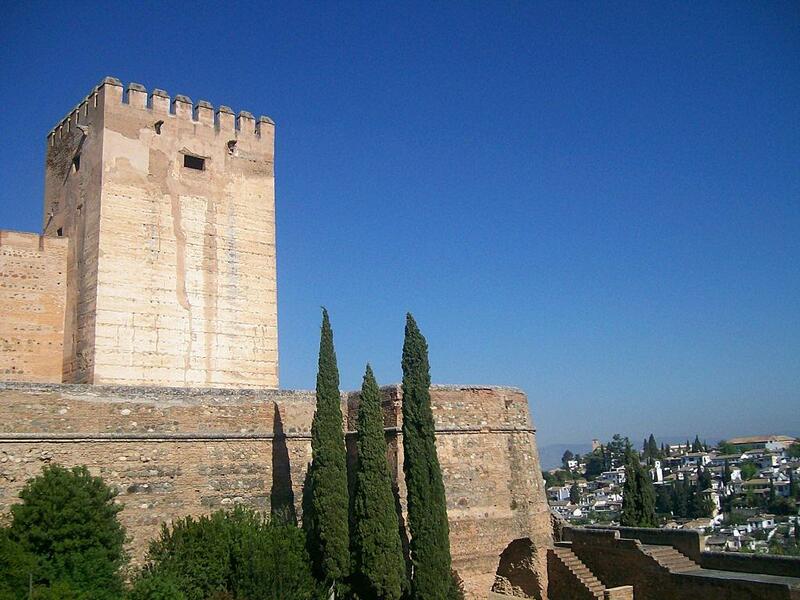 Your grand vista of the majestic Alhambra obsuring the horizon. 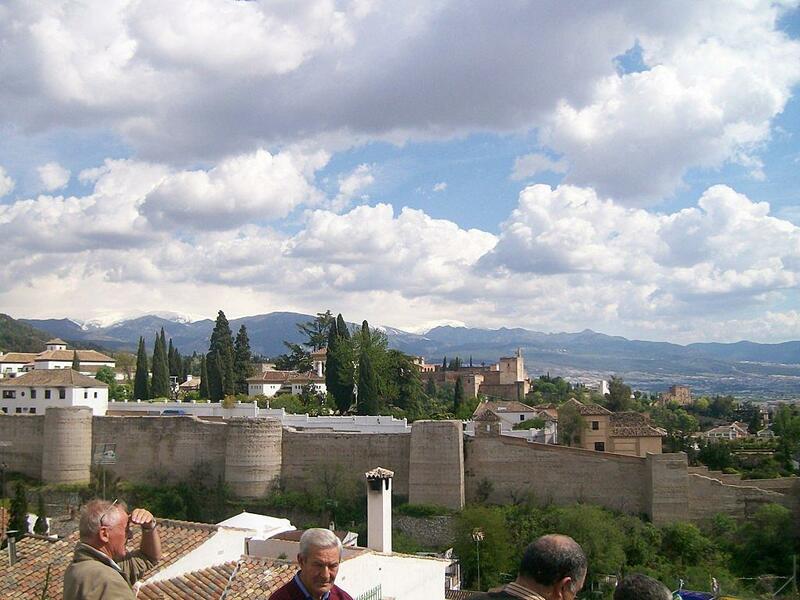 And beyond the towers and crumbling walls stand the snow-capped peaks of the Sierra Nevada. 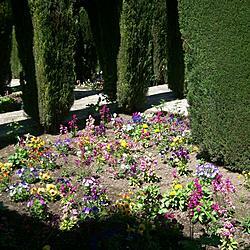 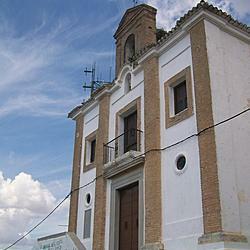 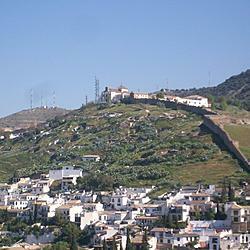 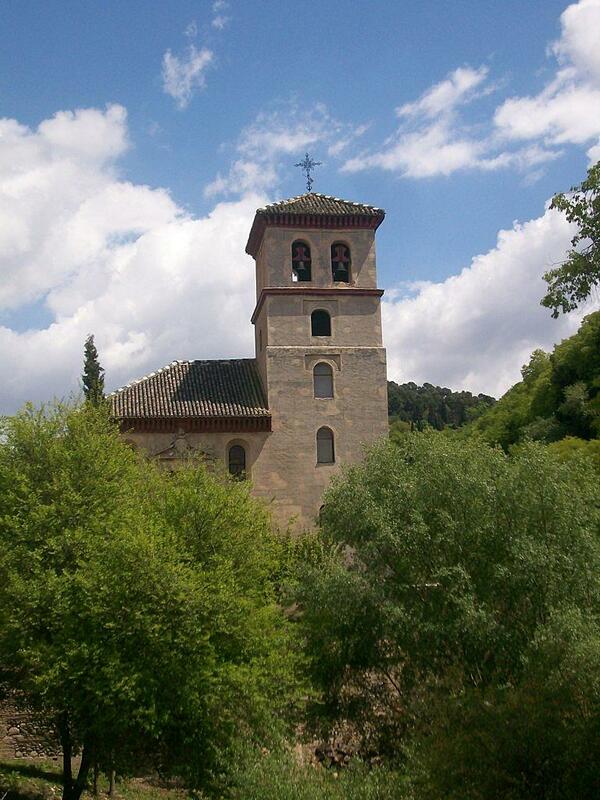 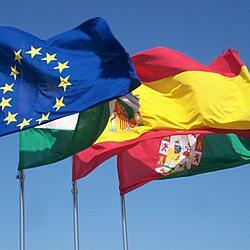 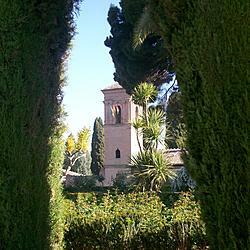 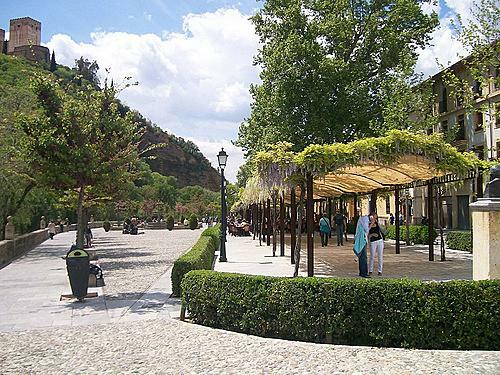 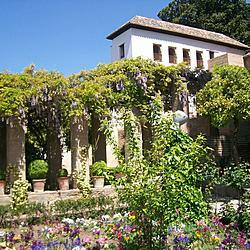 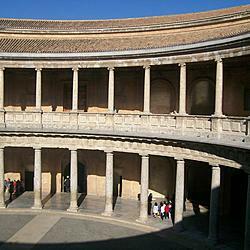 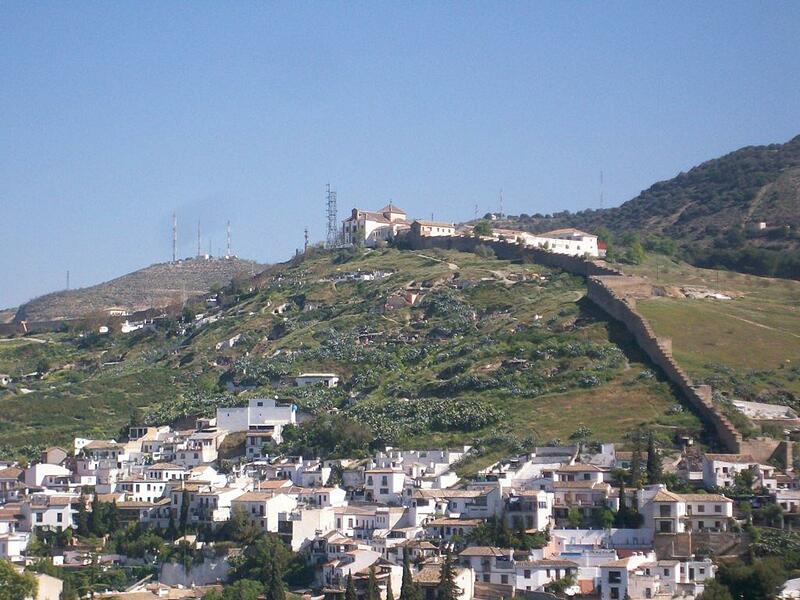 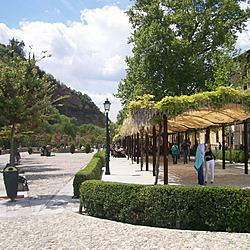 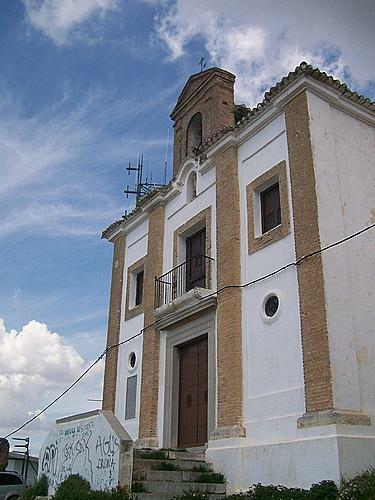 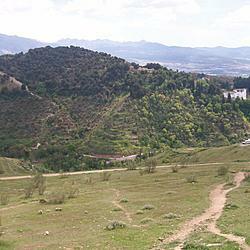 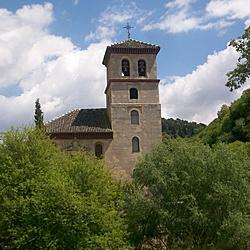 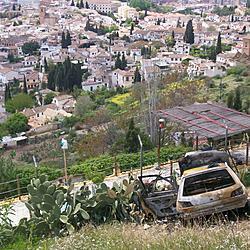 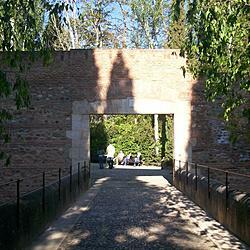 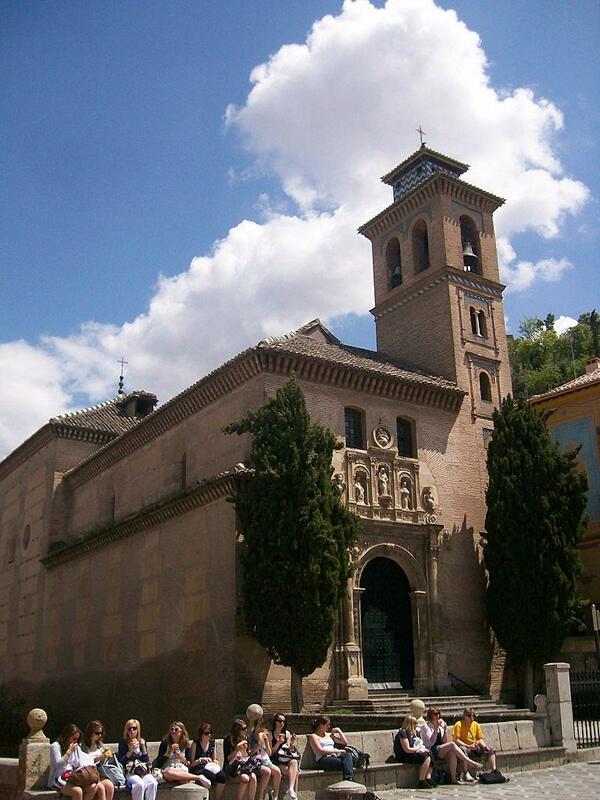 The fire of Flamenco was conceived and born in the caves of Sacromonte. 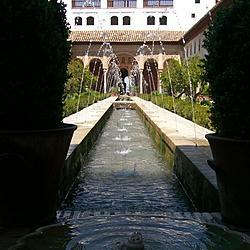 Wandering around the city you can feel that not only is it obvious this is the womb of Flamenco, but that Flamenco was the inevitable outcome of the union of the Spaniards and the Moors in this town. 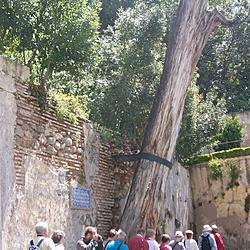 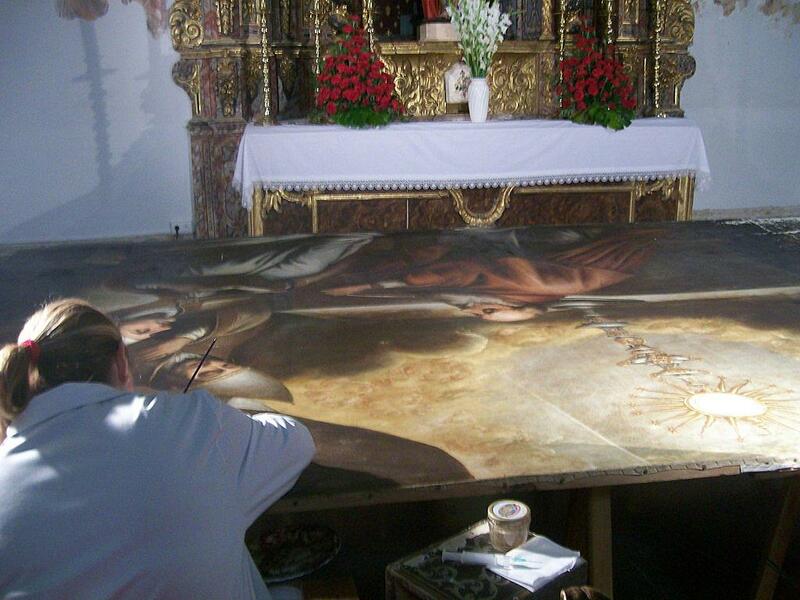 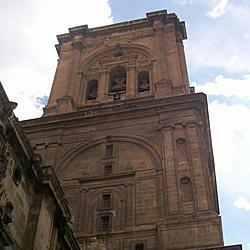 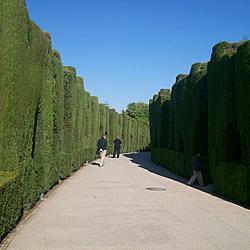 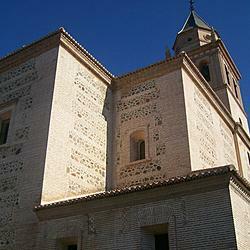 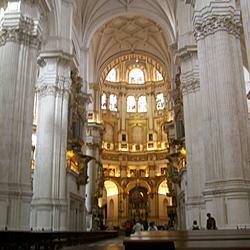 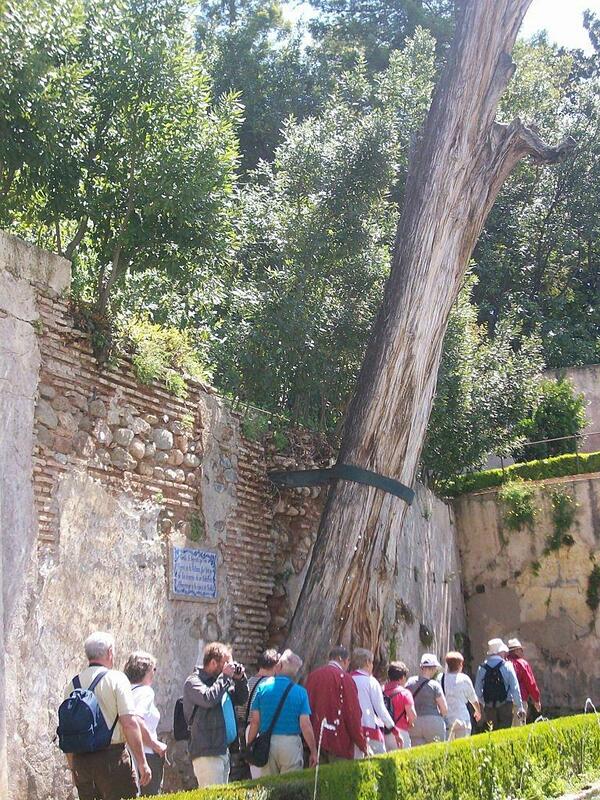 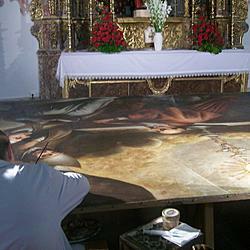 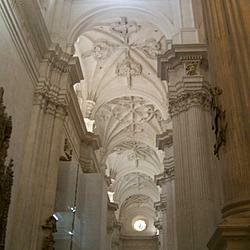 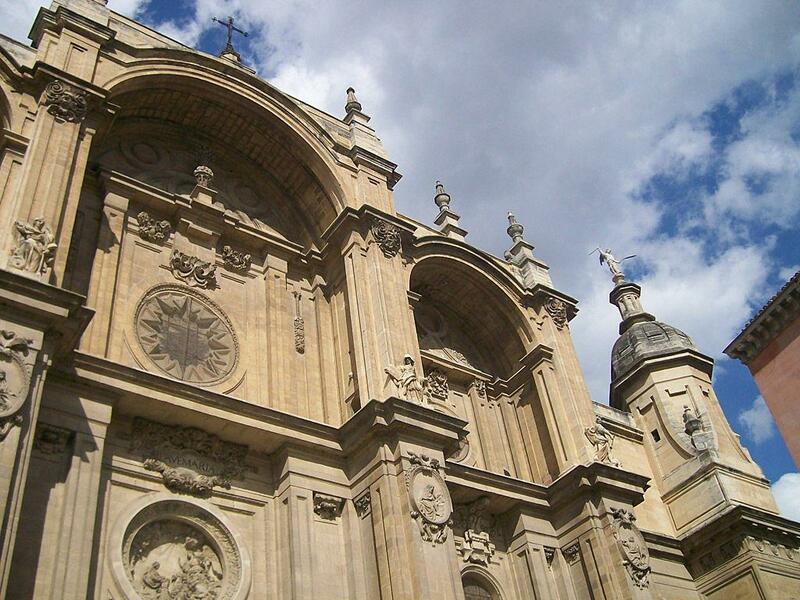 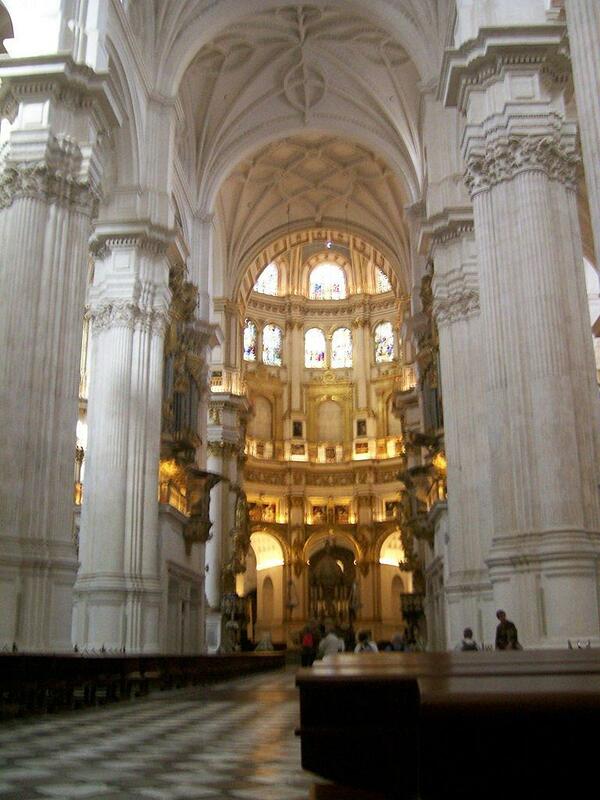 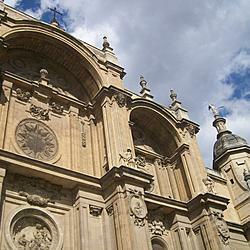 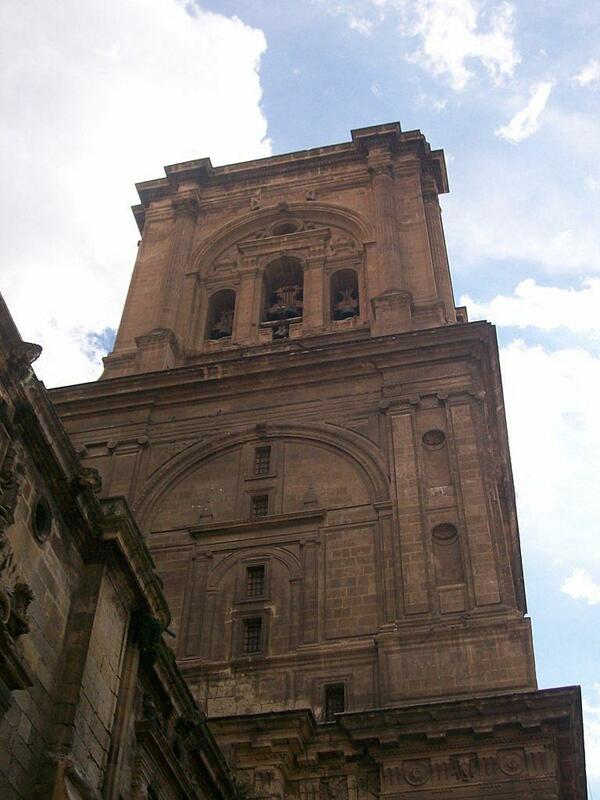 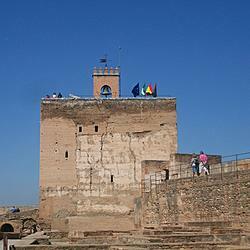 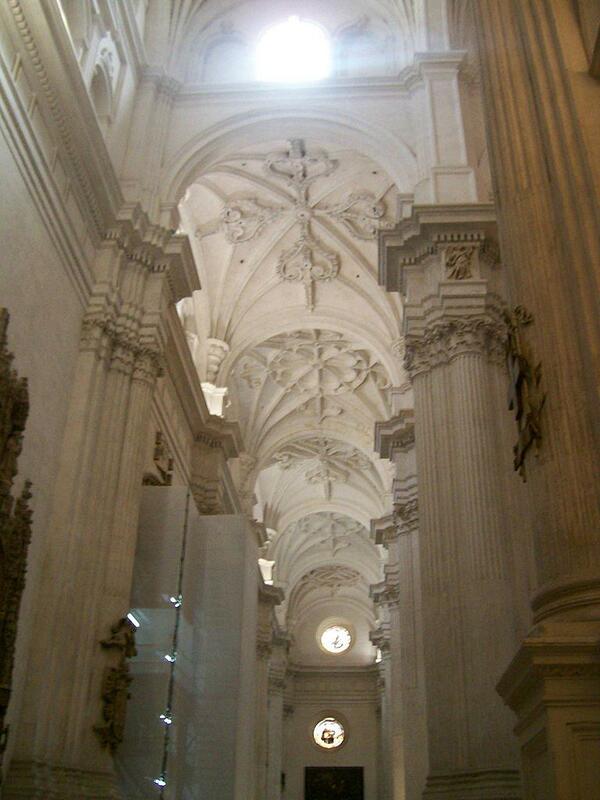 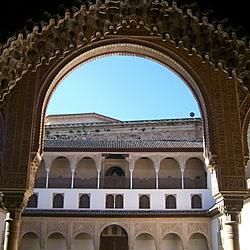 The West embodied in the Christian Cathedrals and the East in the Arabian palaces and streets. 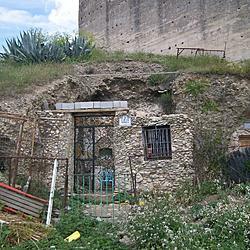 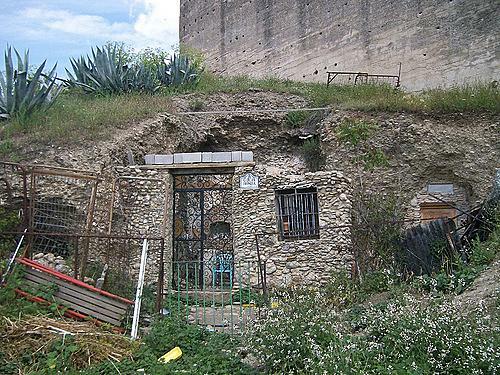 Up the hill toward the old Moorish wall, Gypsies and hippies live in houses built into the caves. 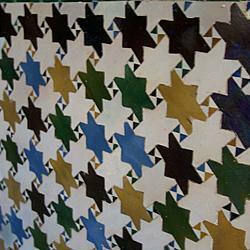 Empty beer bottles line the tables on the patios telling of the tale of a long night passing the time under the shining Andalusian moon. 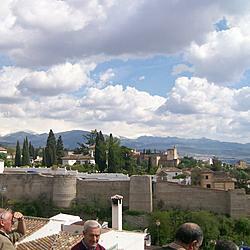 And all of this can be seen from the terrace of my hostel. 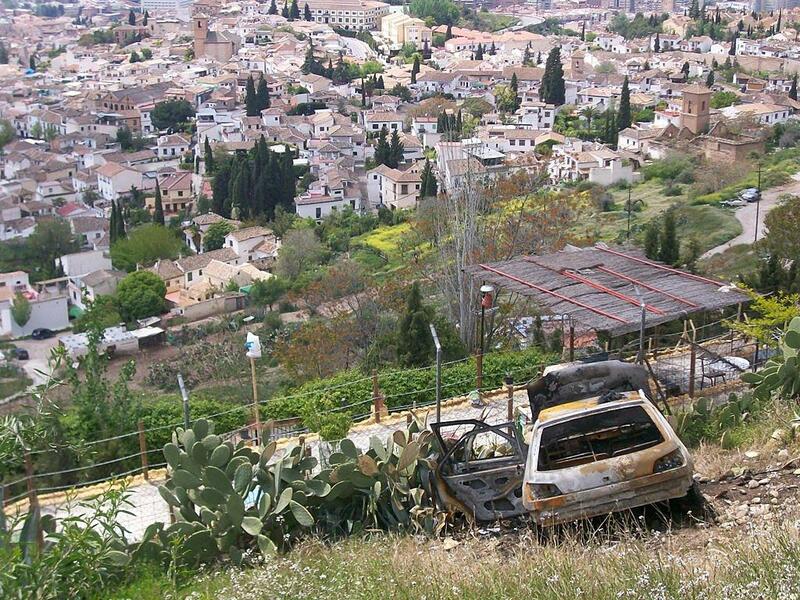 Please, stay at Mochi Guesthouse, you will not be disappointed by the staff, the facilities, and definitely not by the view. 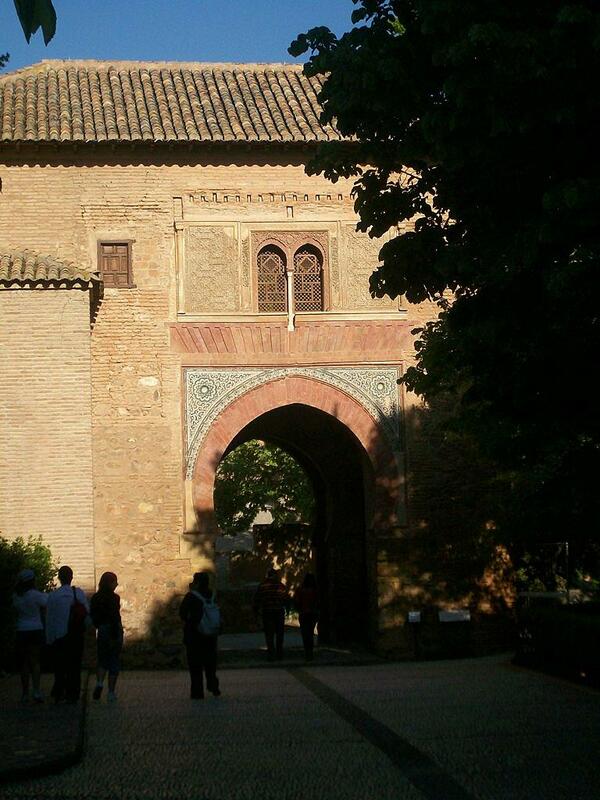 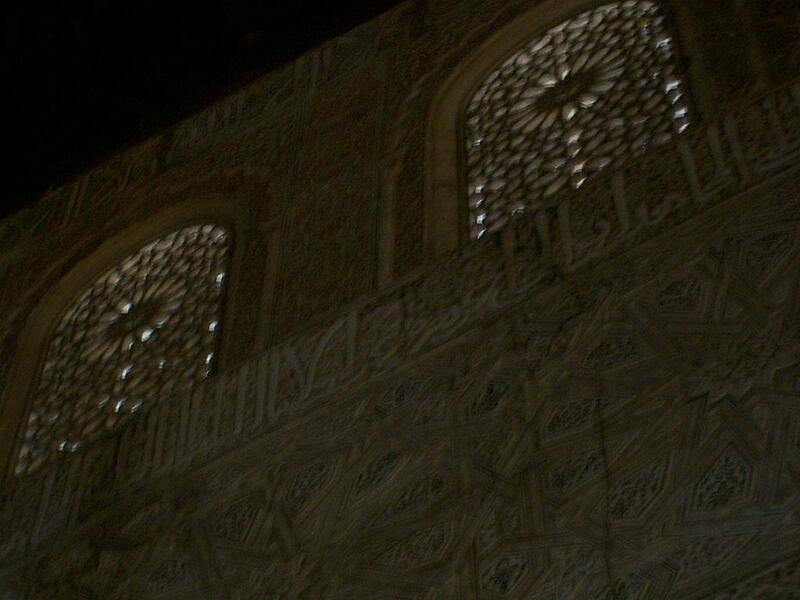 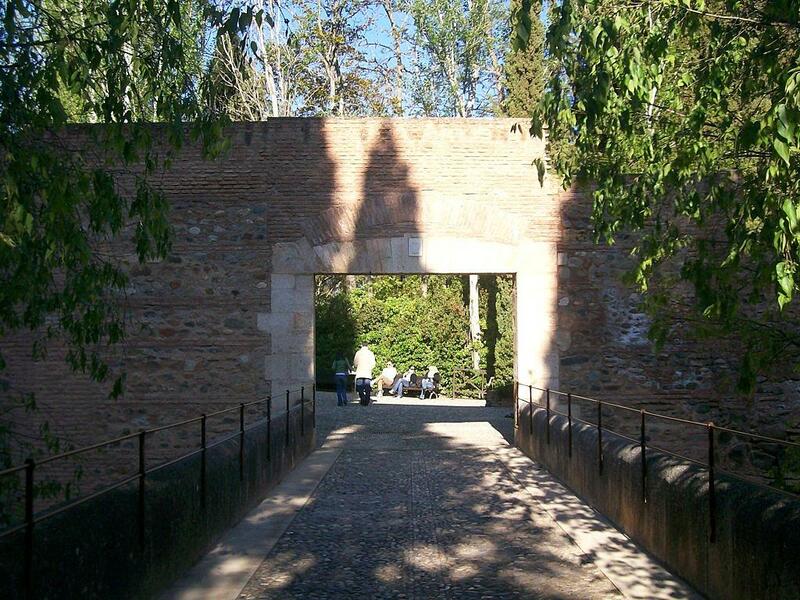 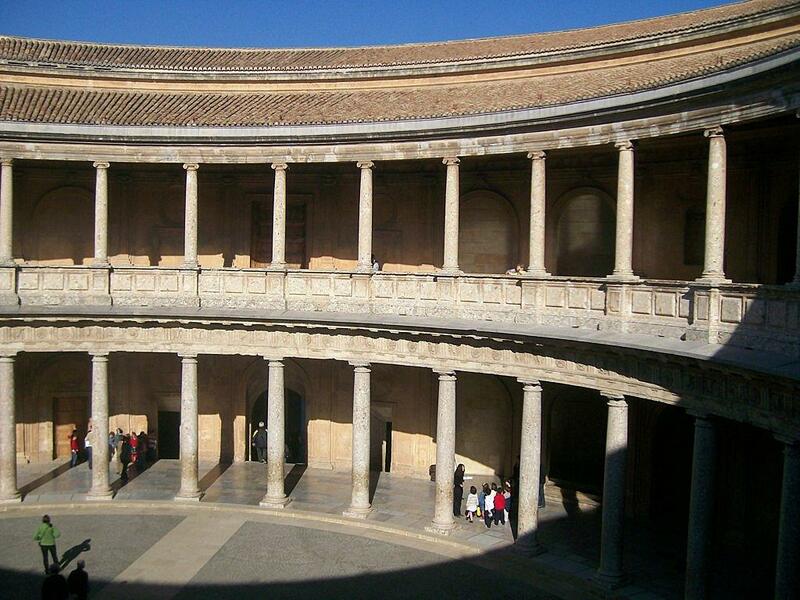 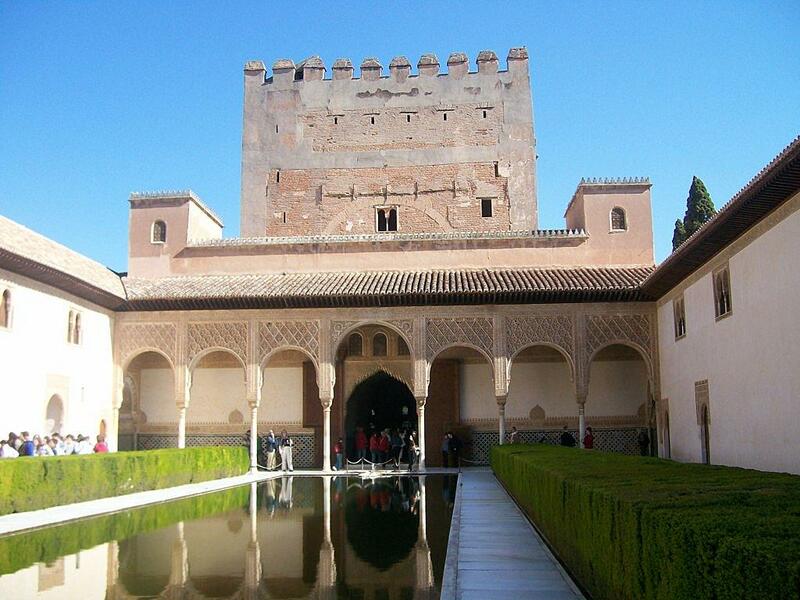 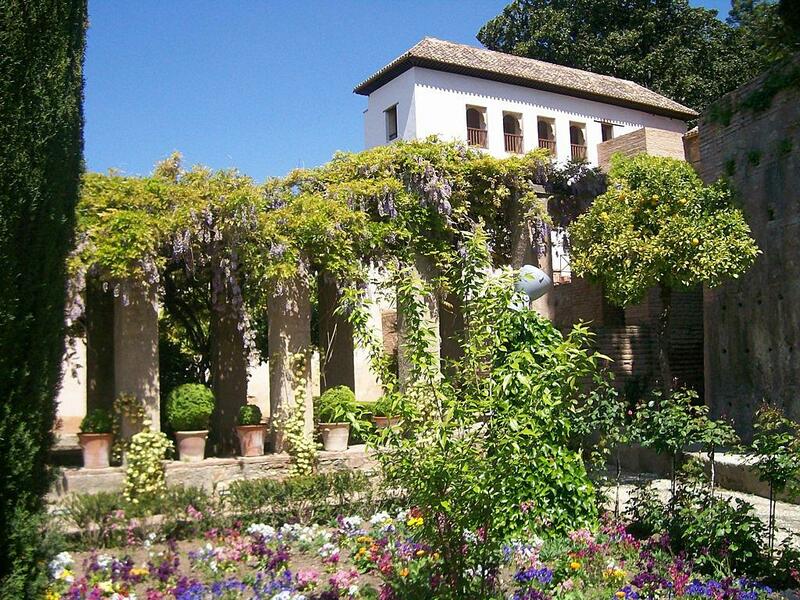 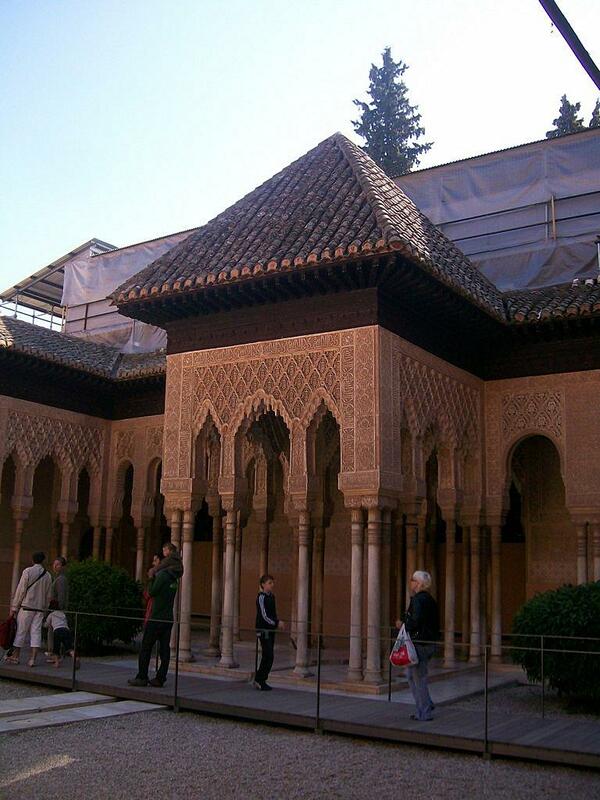 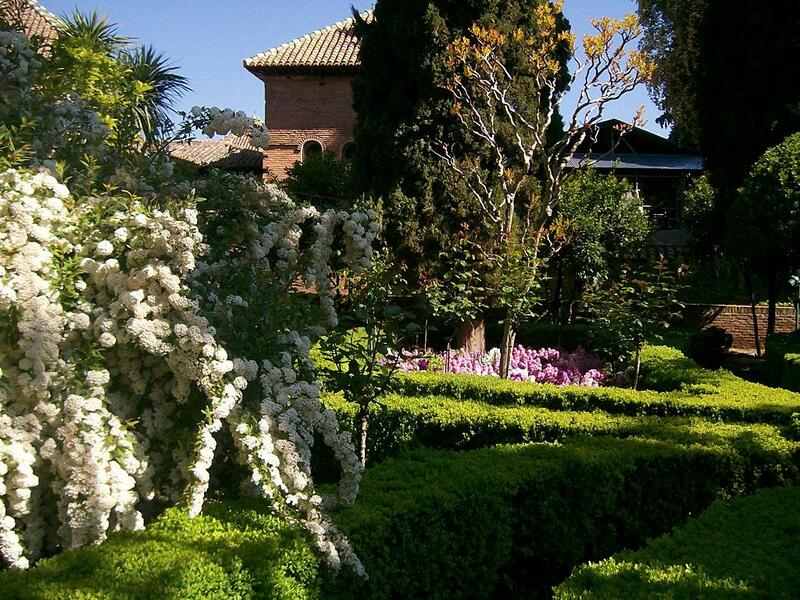 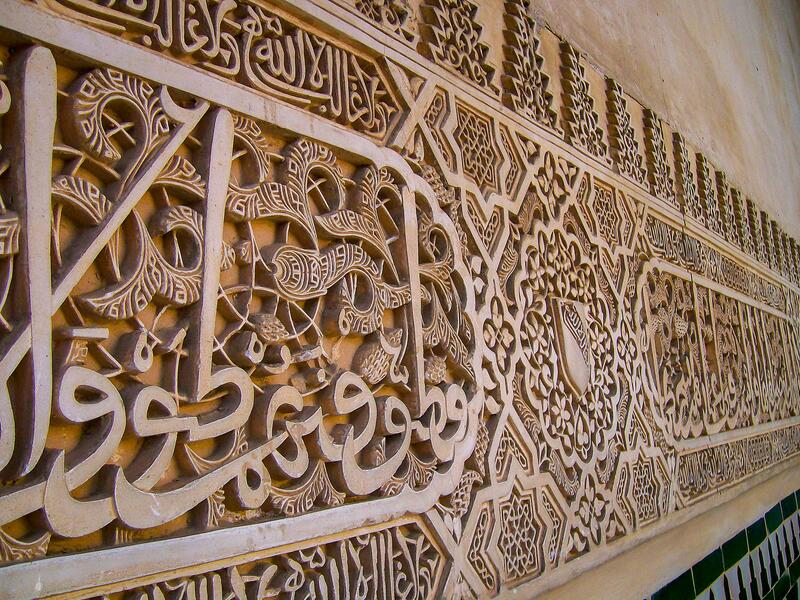 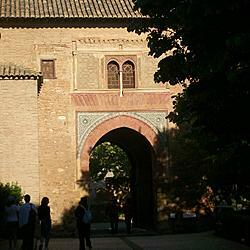 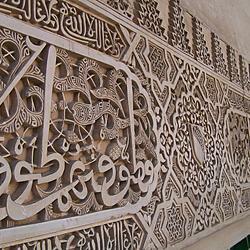 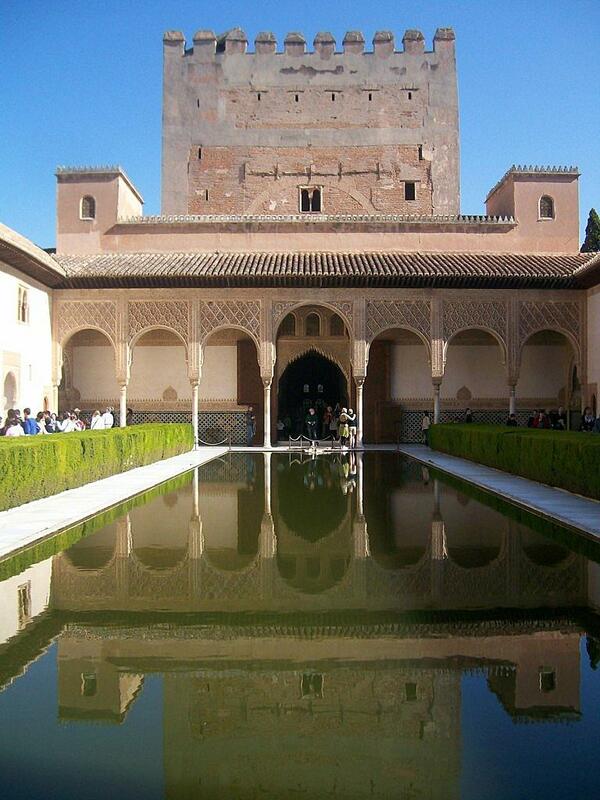 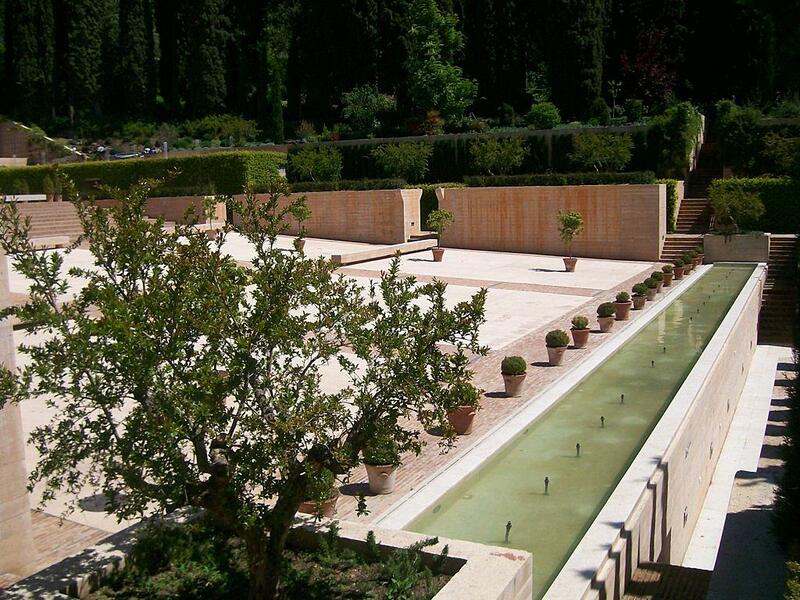 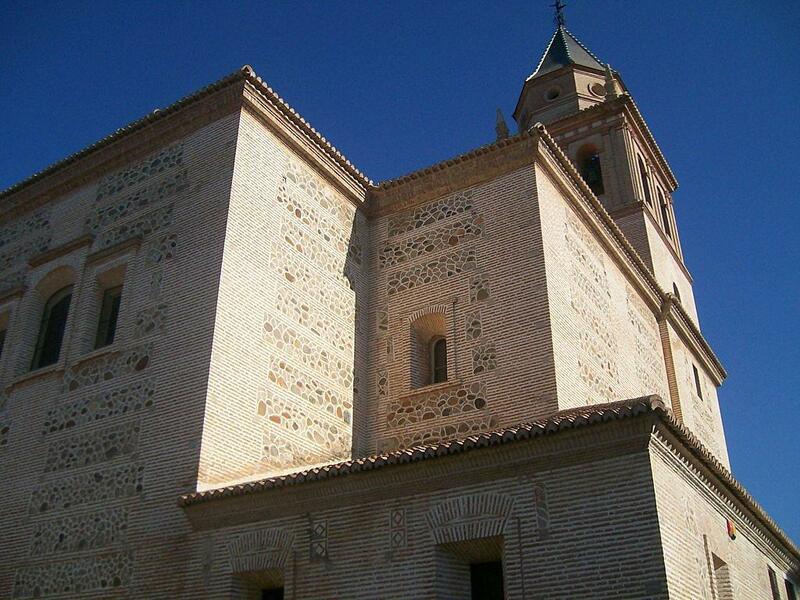 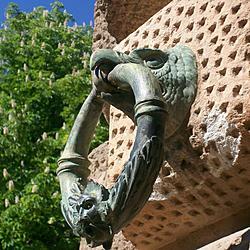 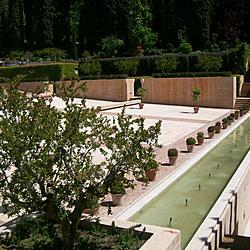 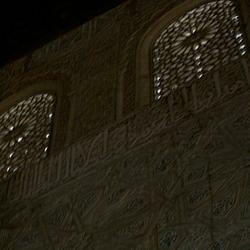 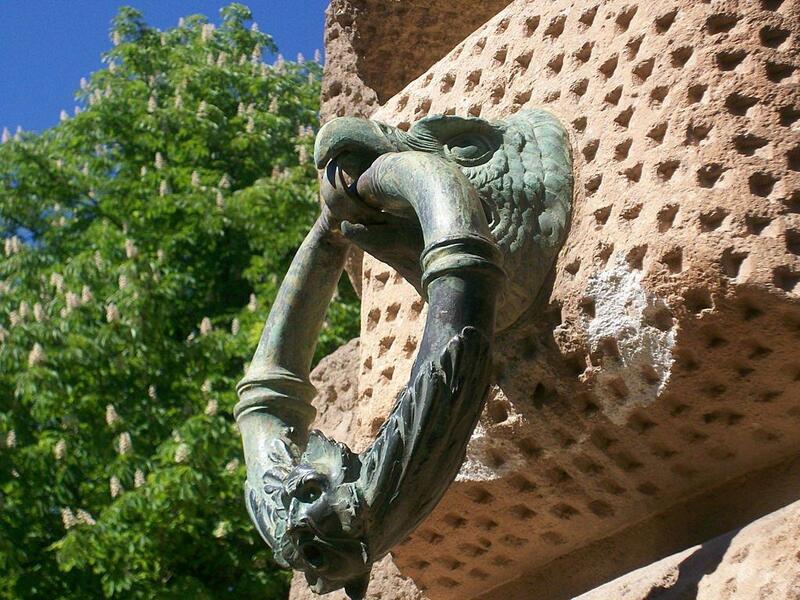 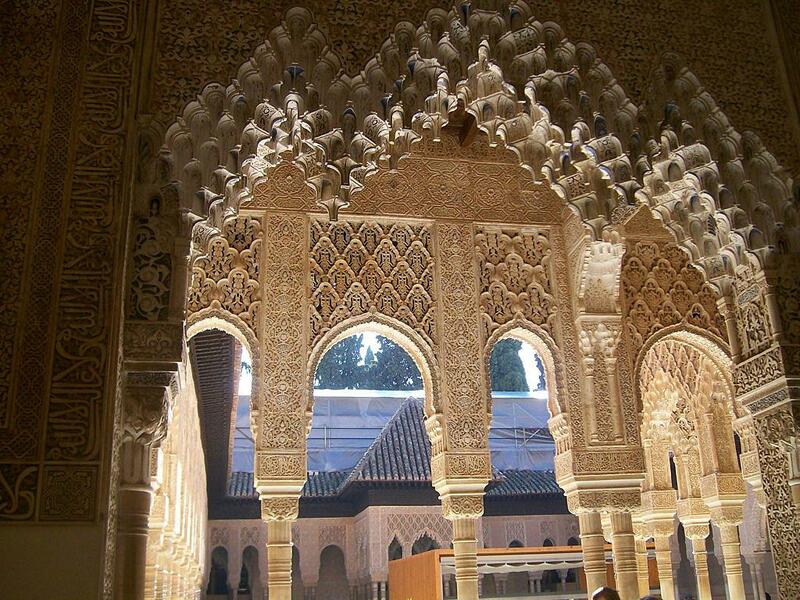 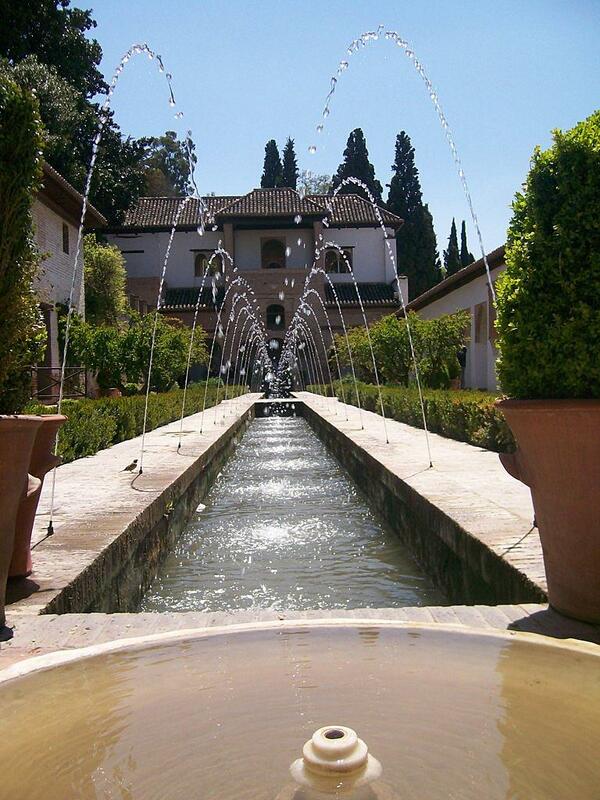 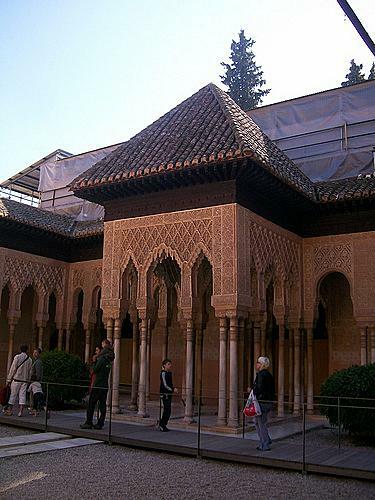 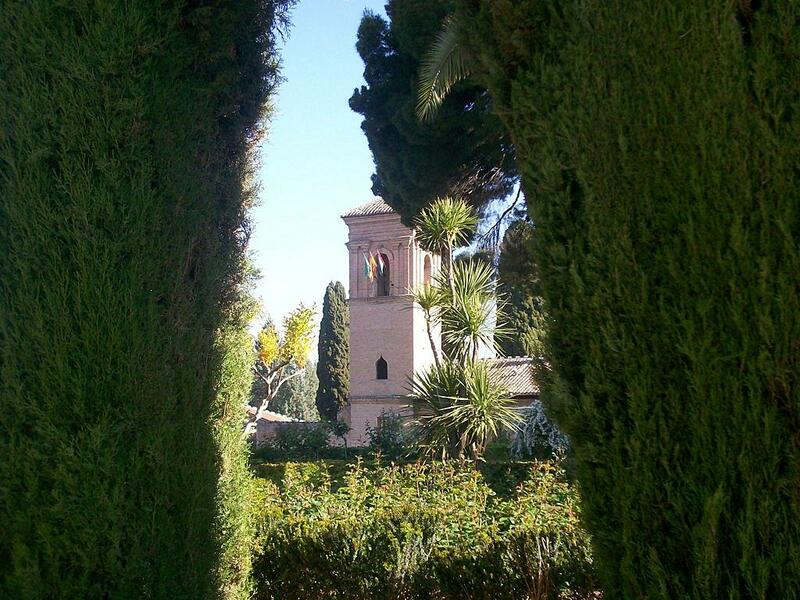 TO THE traveller imbued with a feeling for the historical and poetical, so inseparably intertwined in the annals of romantic Spain, the Alhambra is as much an object of devotion as is the Caaba to all true Moslems. How many legends and traditions, true and fabulous; how many songs and ballads, Arabian and Spanish, of love and war and chivalry, are associated with this oriental pile! 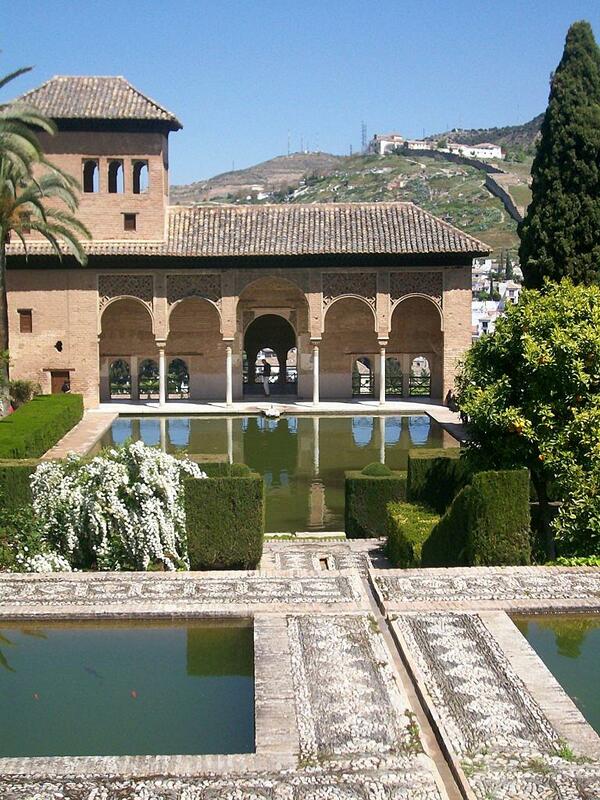 It was the royal abode of the Moorish kings, where, surrounded with the splendors and refinements of Asiatic luxury, they held dominion over what they vaunted as a terrestrial paradise, and made their last stand for empire in Spain. 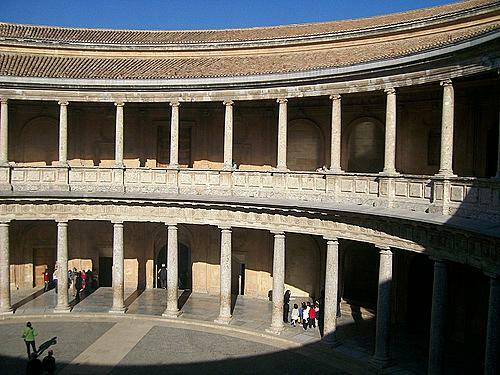 Inside, my first stop was the Royal Palace of Charles V, the enormous monstrosity built in a vain attempt to overshadow through sheer size the elegance of the Nazrid Palaces. 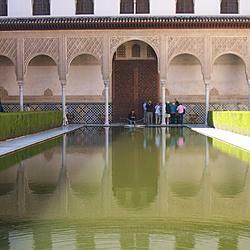 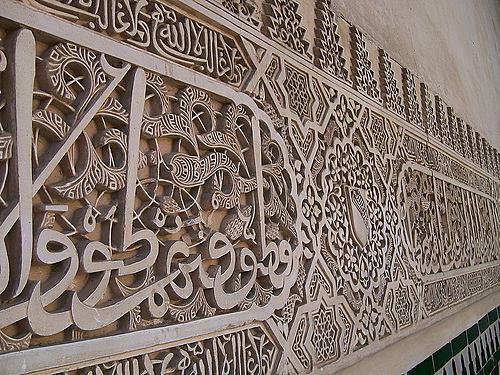 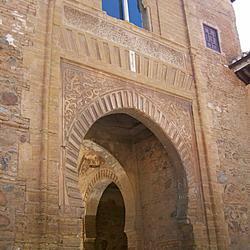 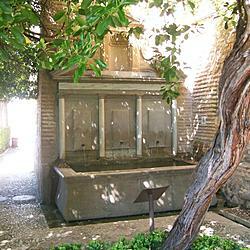 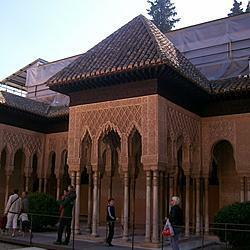 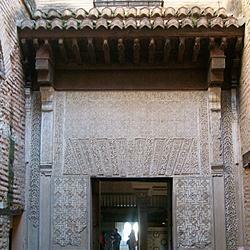 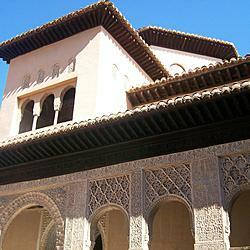 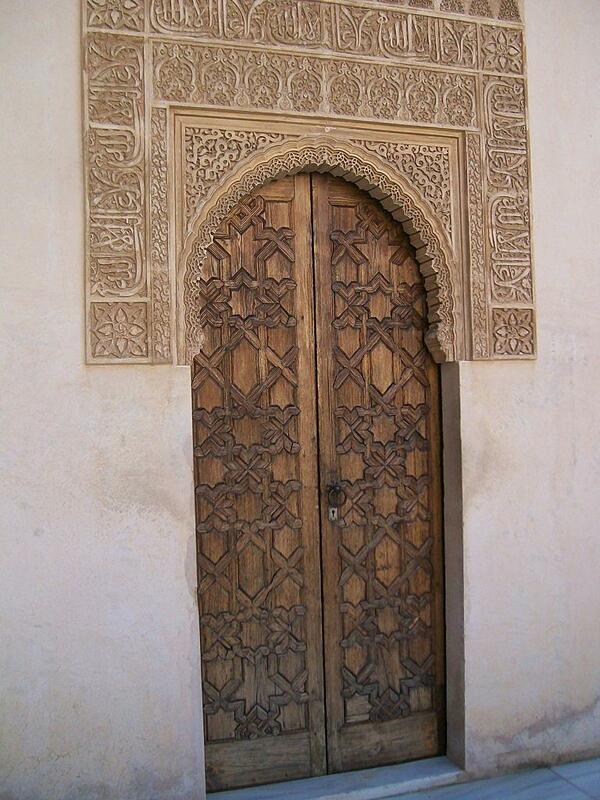 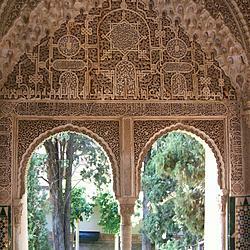 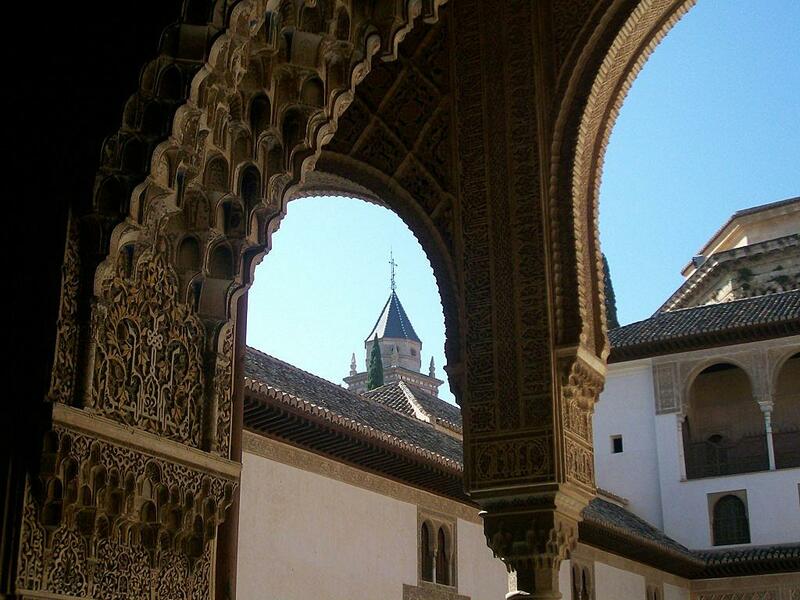 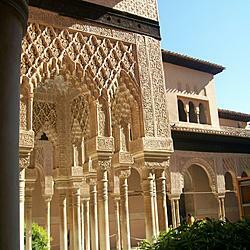 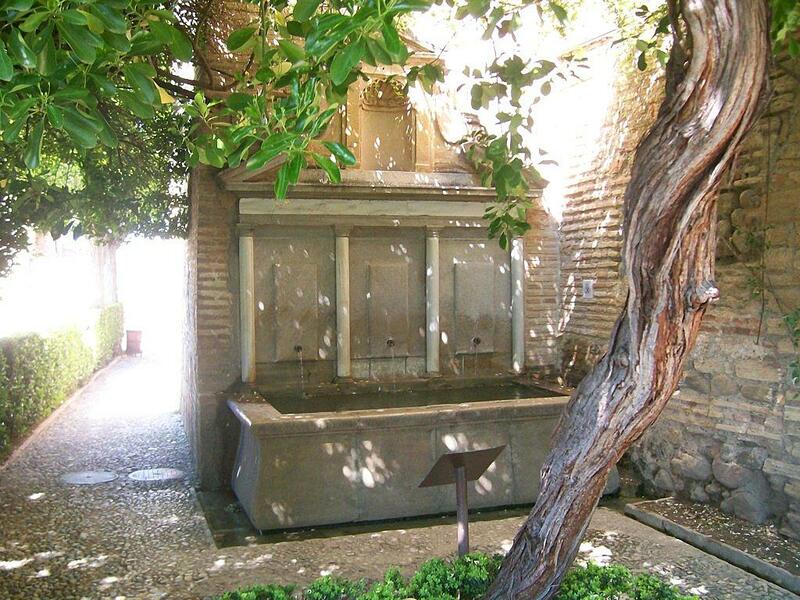 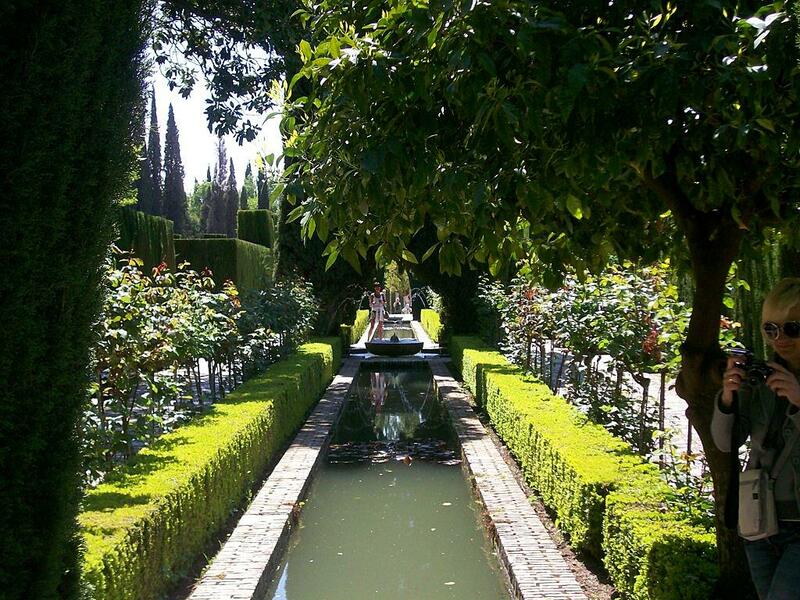 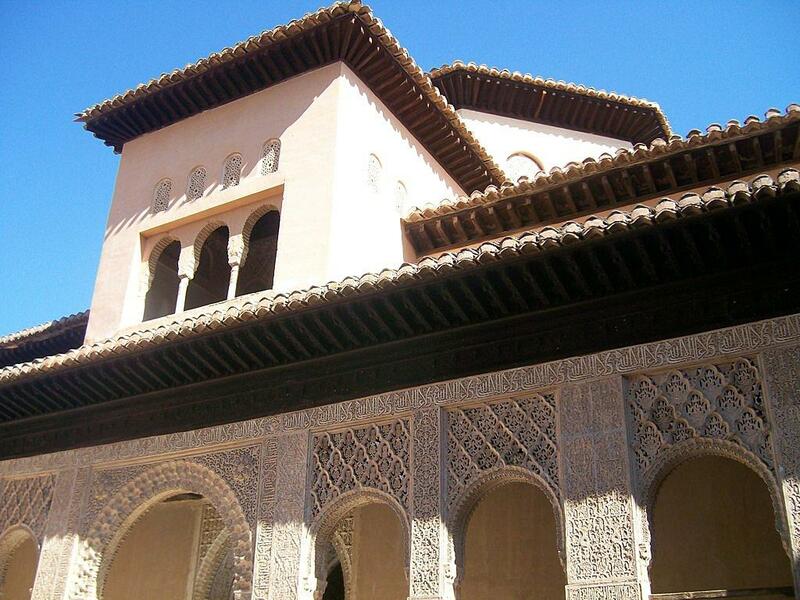 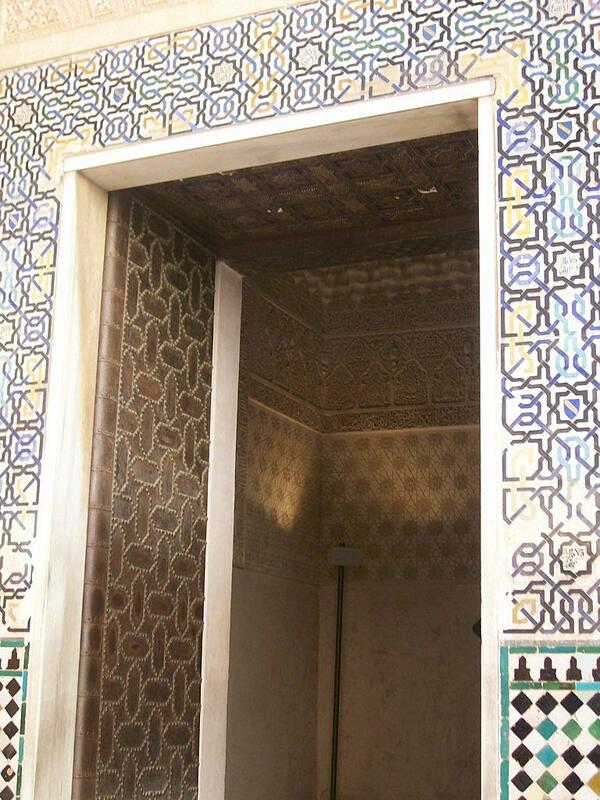 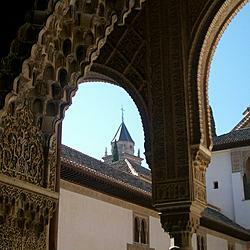 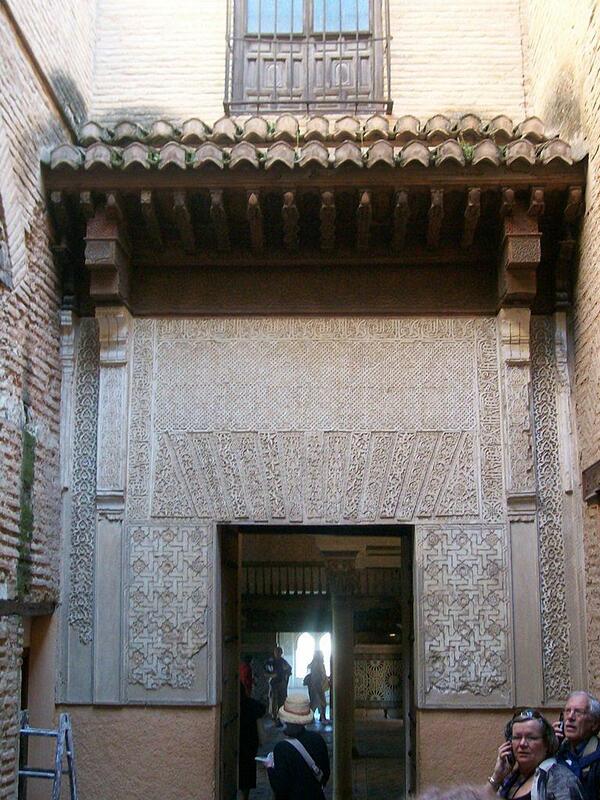 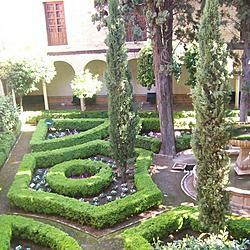 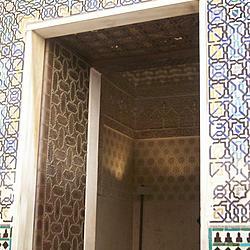 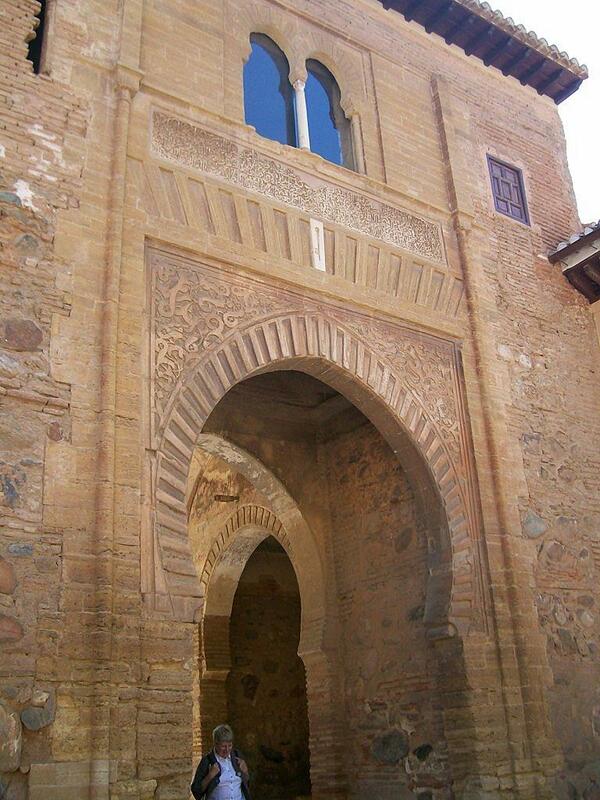 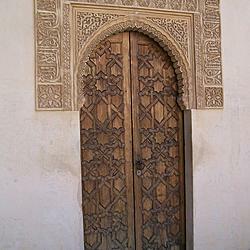 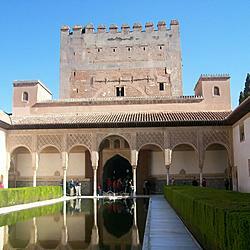 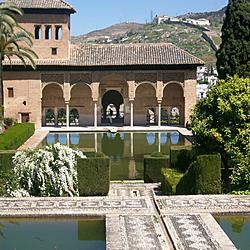 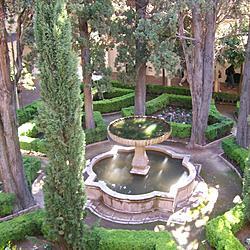 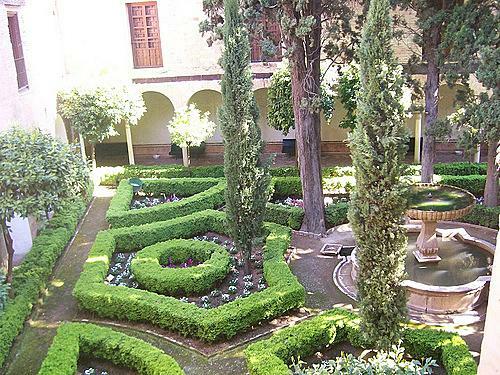 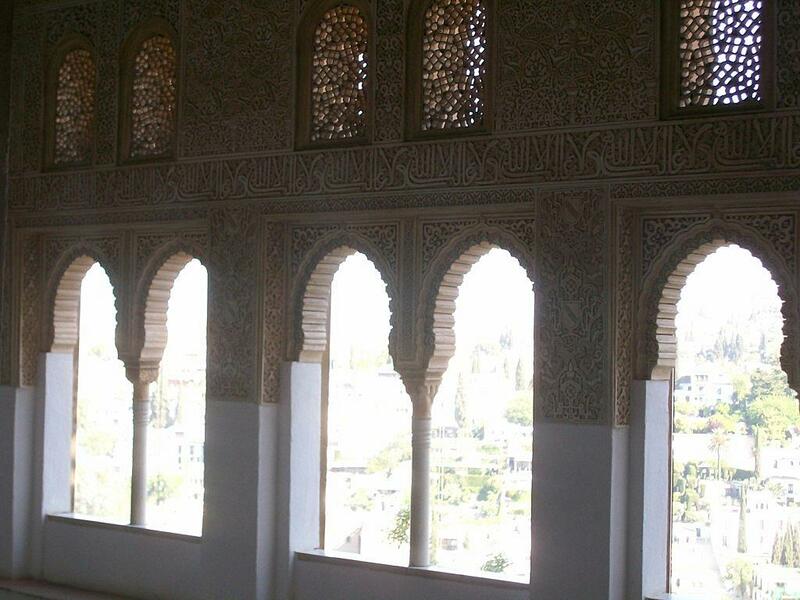 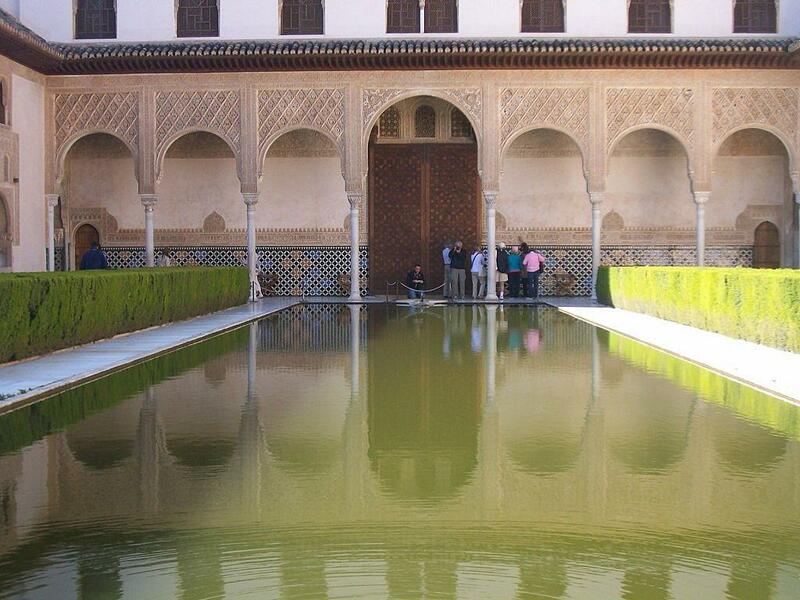 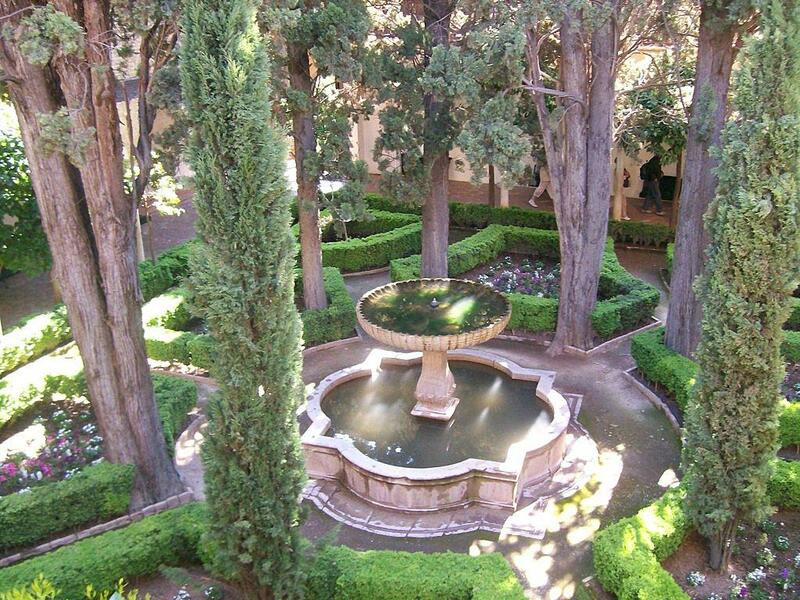 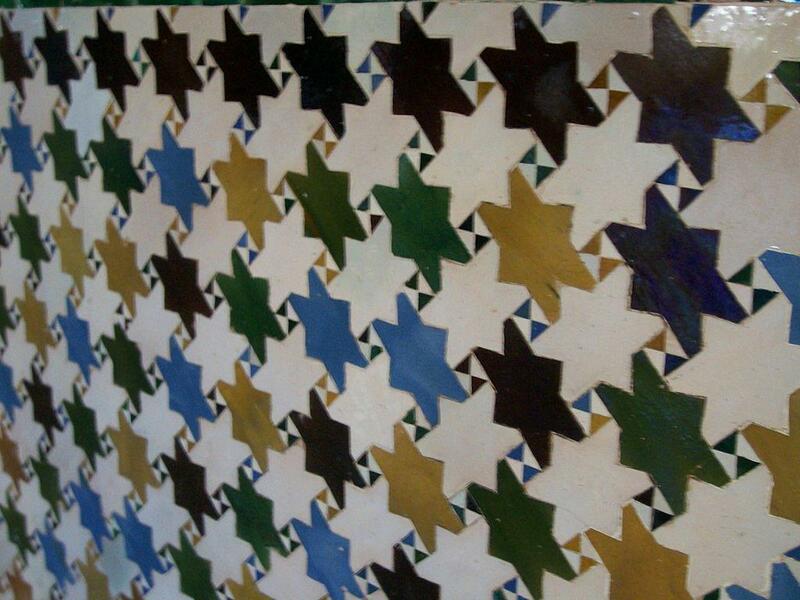 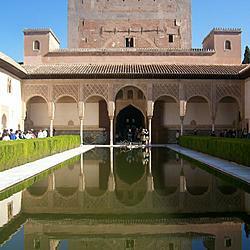 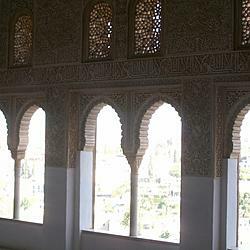 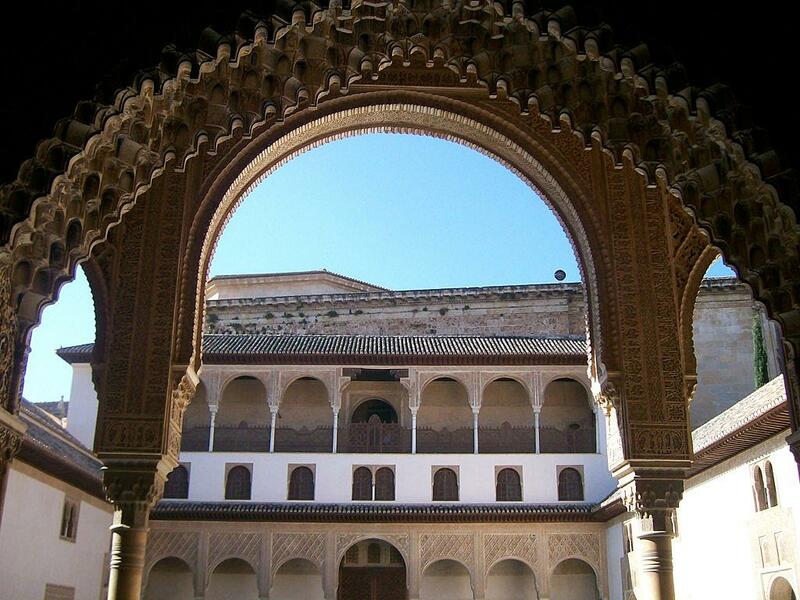 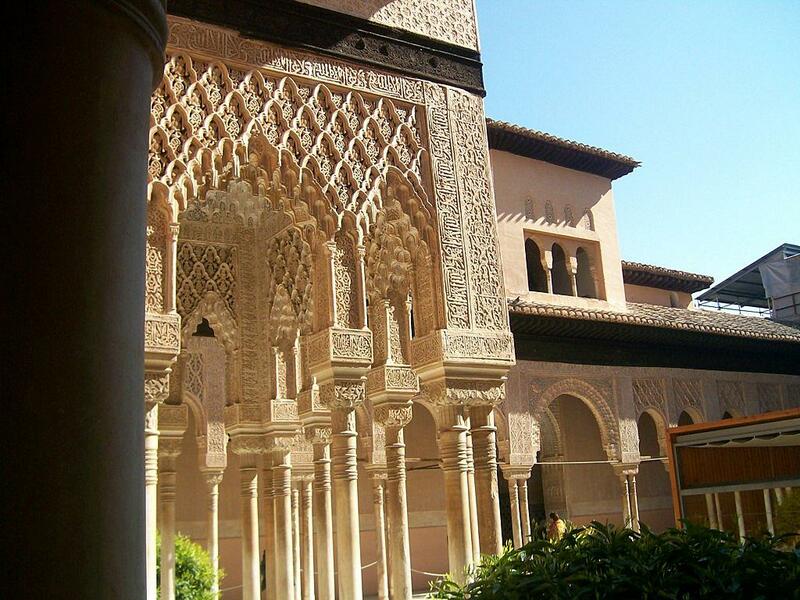 Inside the Nasrid Palaces, a calm beauty breezes with the wind through the courtyards and quarters. 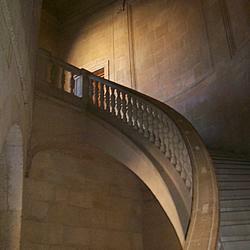 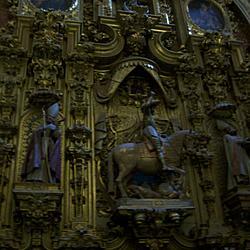 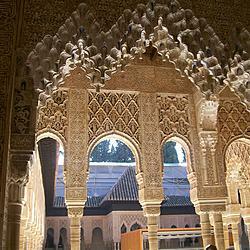 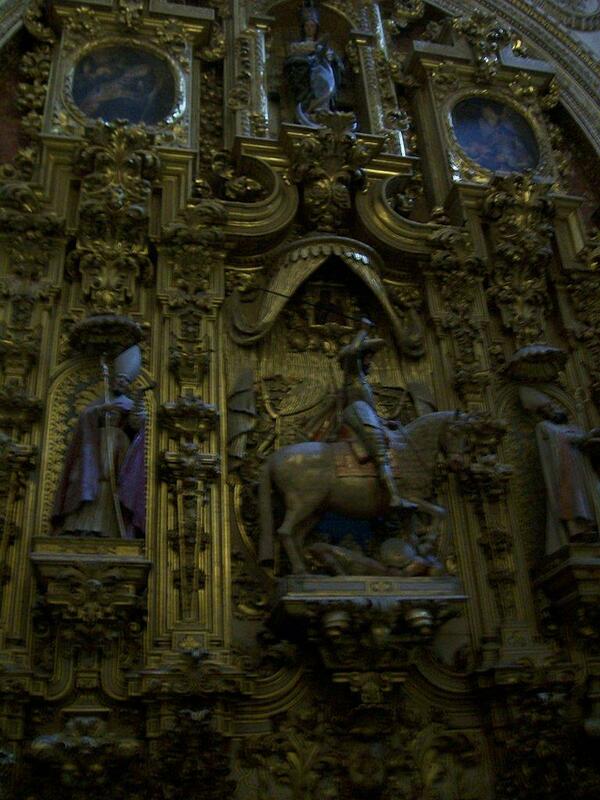 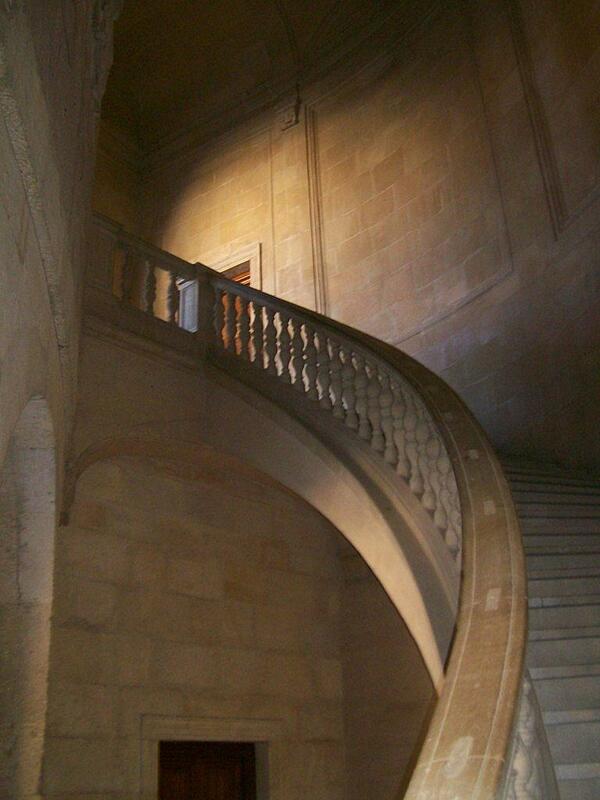 The walls and arches, the work of incredibly skilled craftsmen, are covered in ornate wood and stonework. 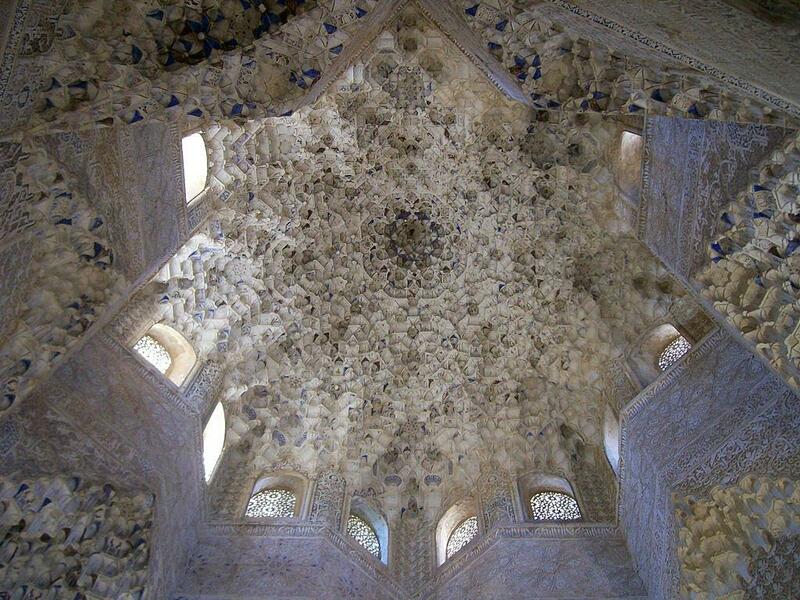 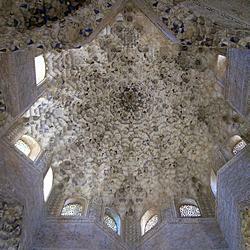 The mosaiced ceilings and the laticed walls immediately relax the visitor. 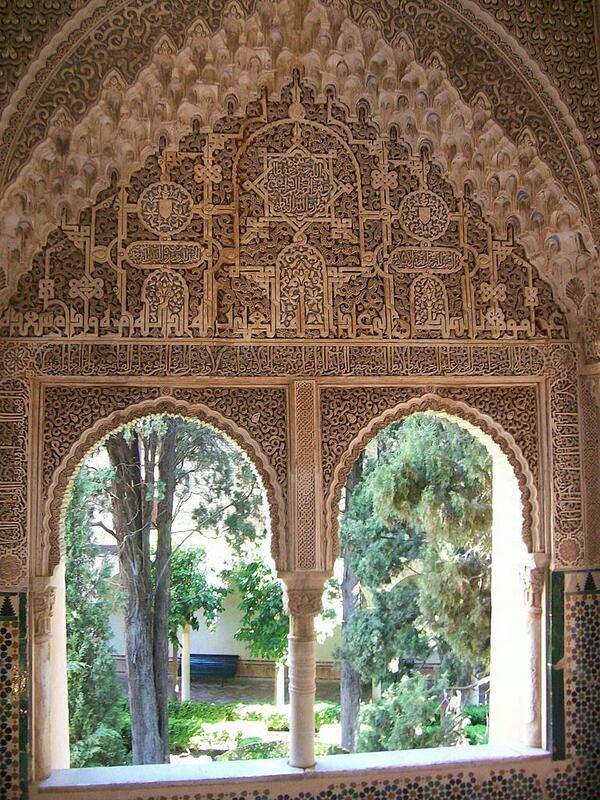 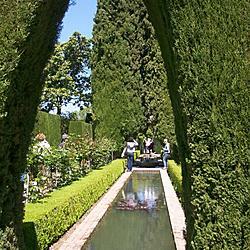 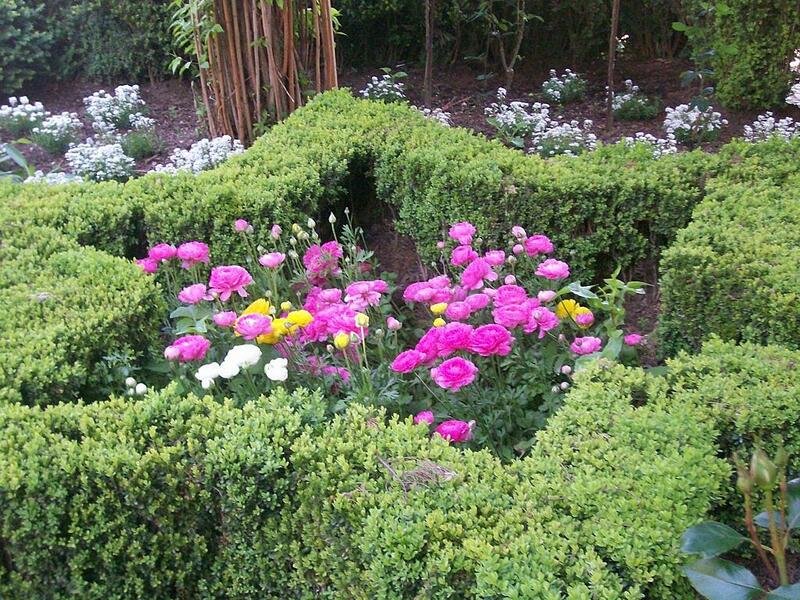 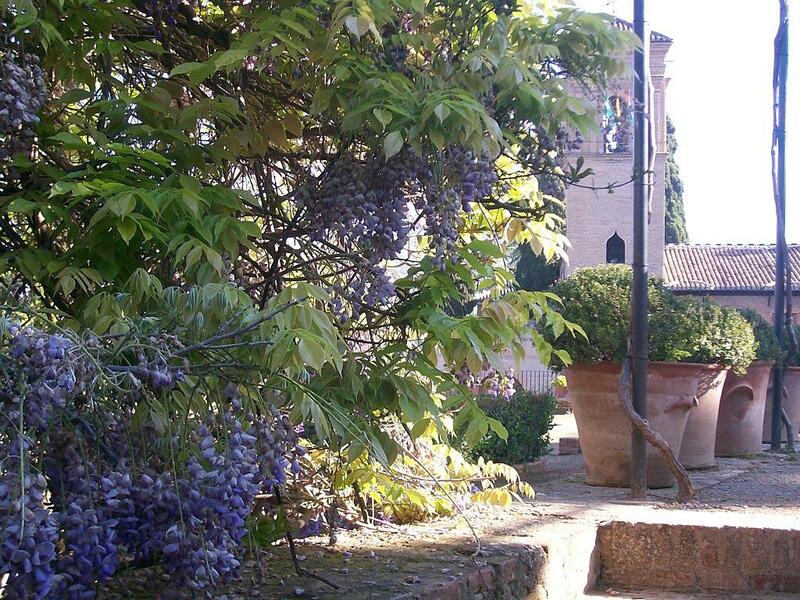 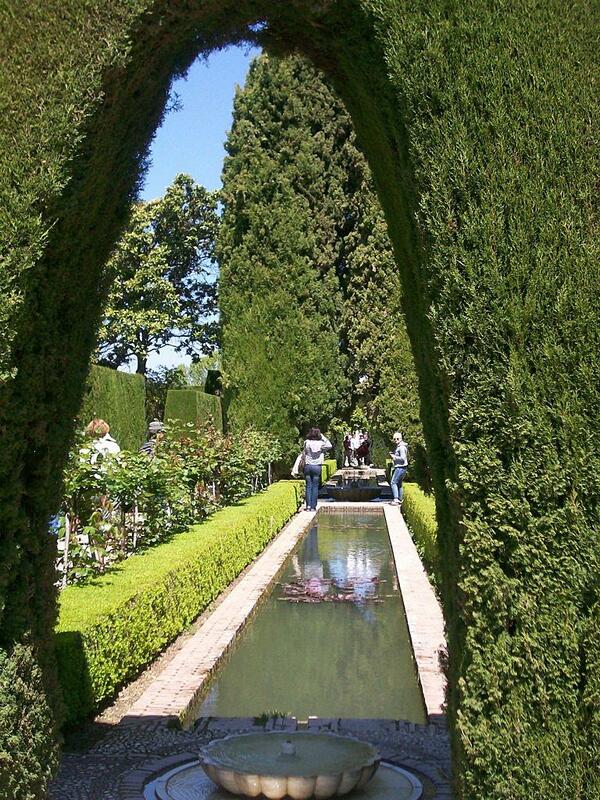 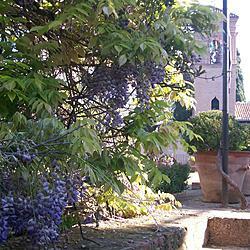 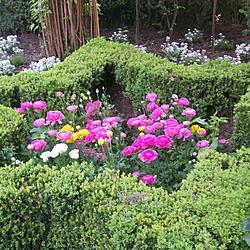 The arches and flowers reflect in the pools of the courtyards. 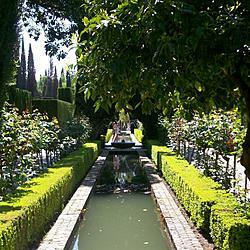 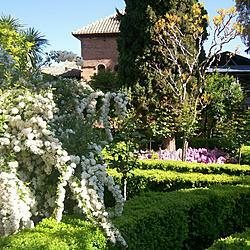 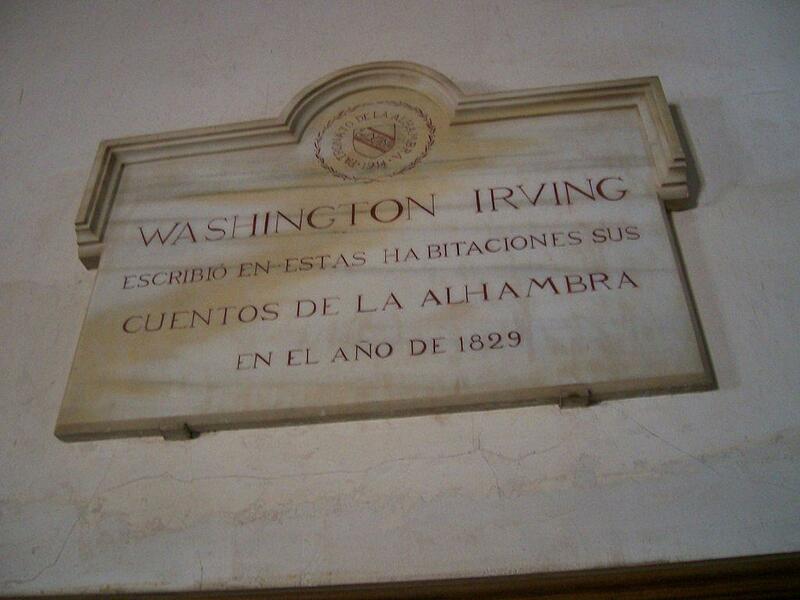 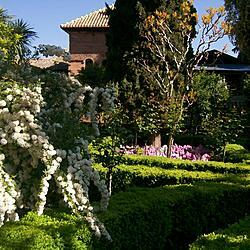 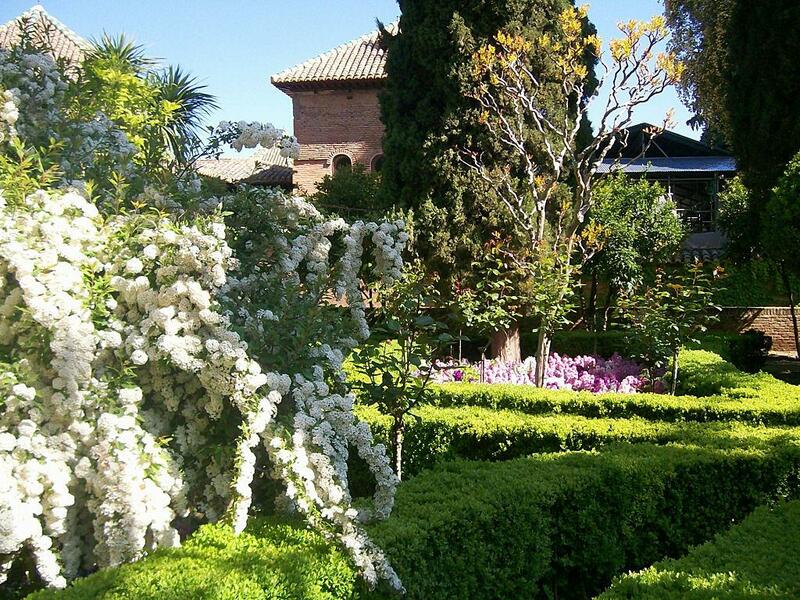 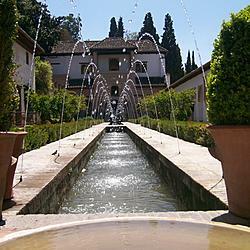 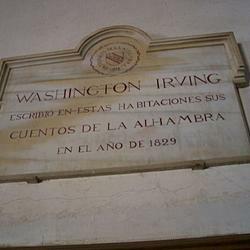 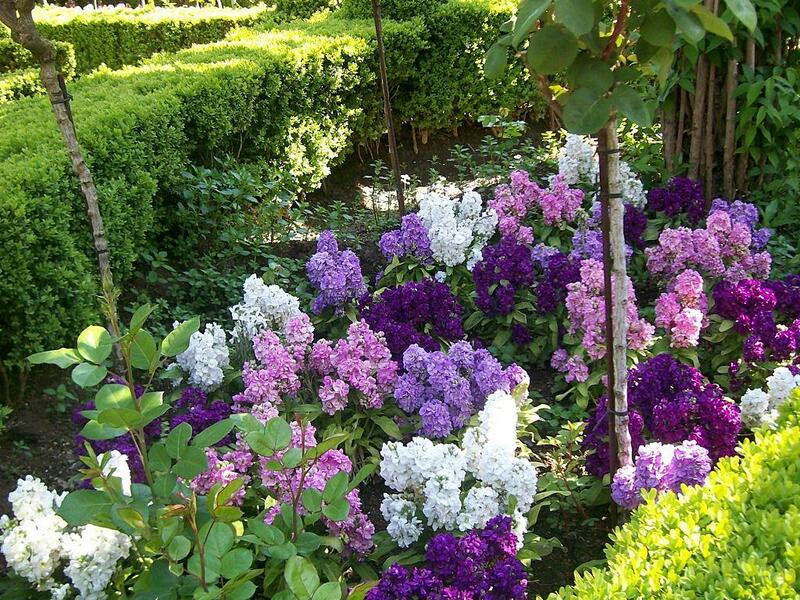 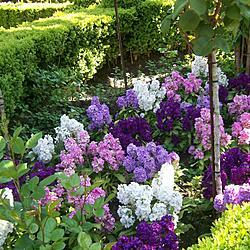 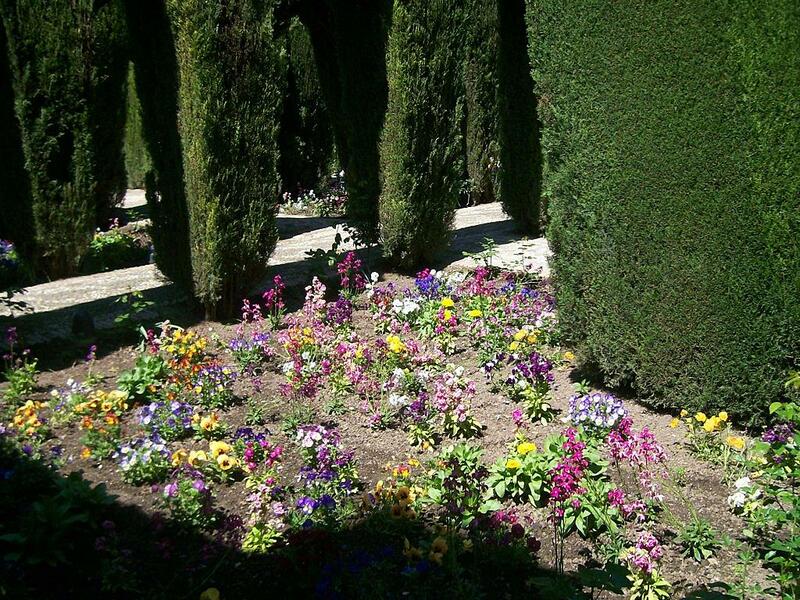 Once again, Washington Irving: “The architecture, like that in most parts of the interior of the palace, is characterized by elegance, rather than grandeur, bespeaking a delicate and graceful taste, and a disposition to indolent enjoyment.” There is little to do in the gardens of the Generalife but stroll through the hedges and flower gardens. 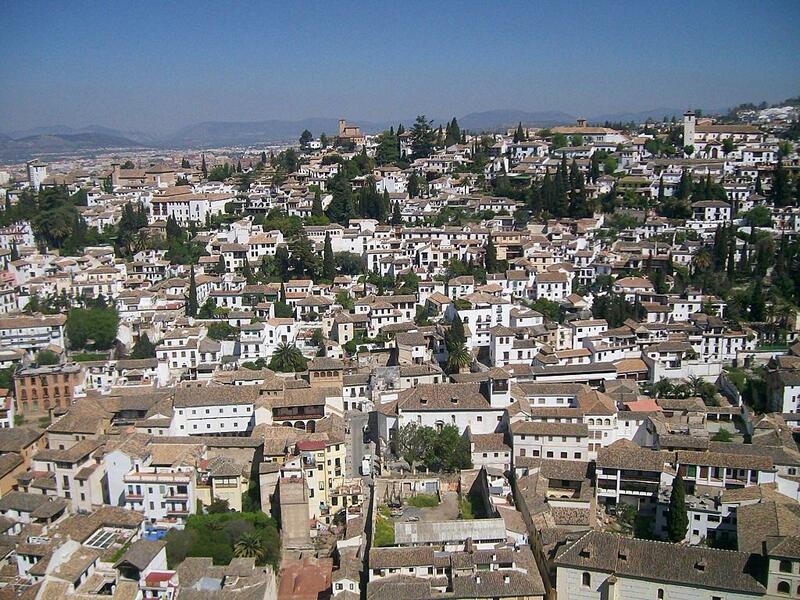 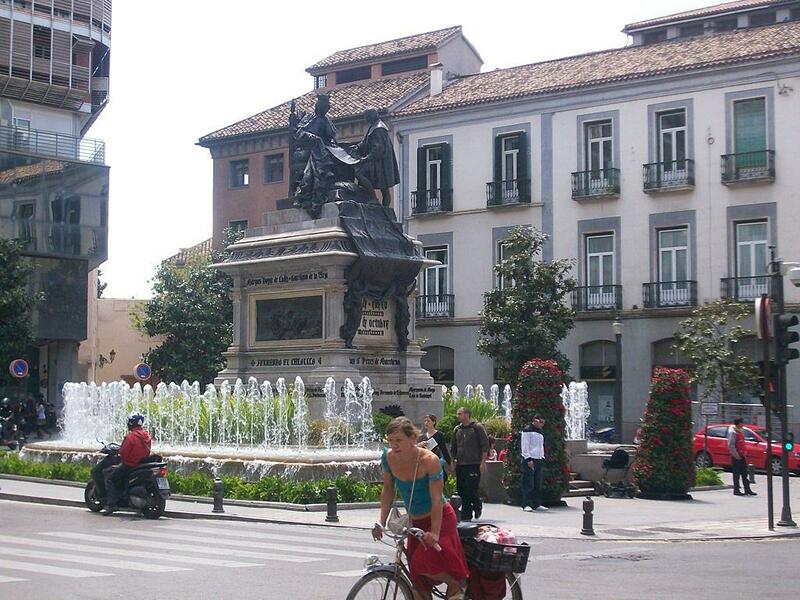 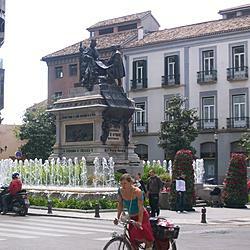 Granada is by far one of the most beautiful cities I have ever seen. 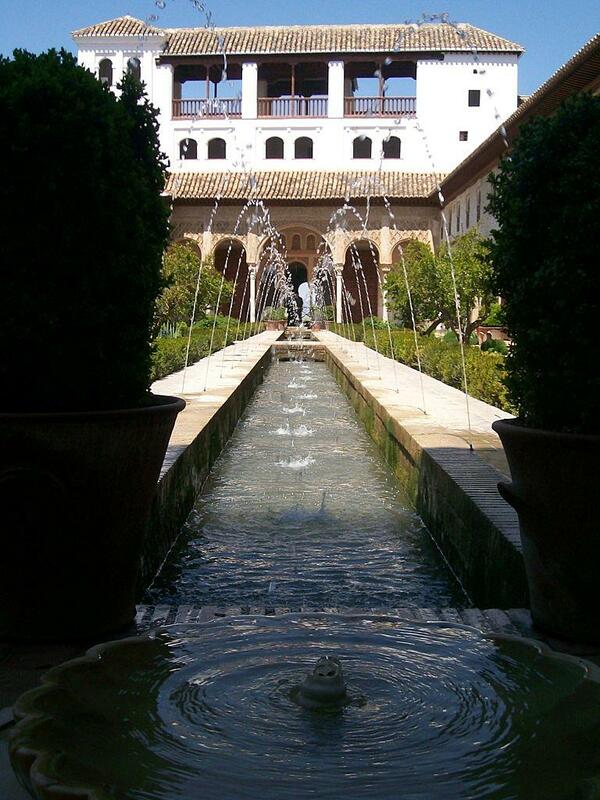 It is a safe observation to say that I fell into love, if not at least deep infatuation, with the city. 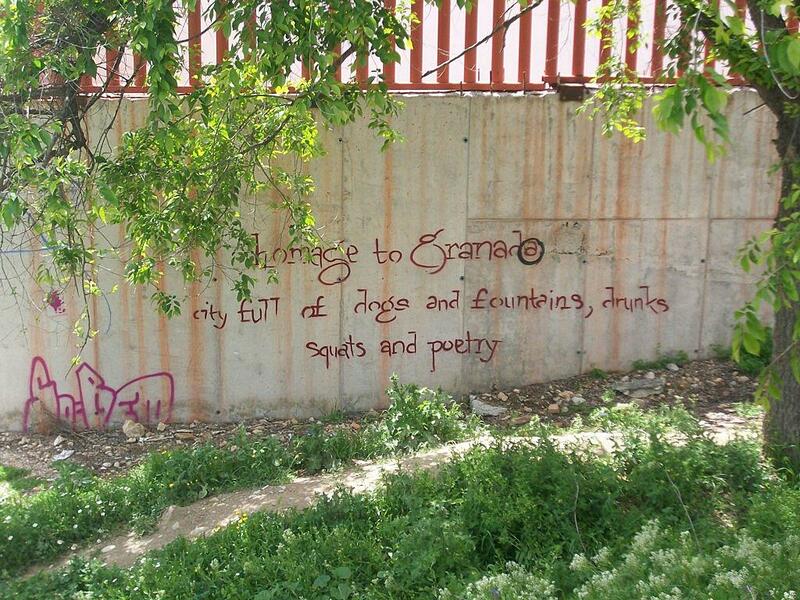 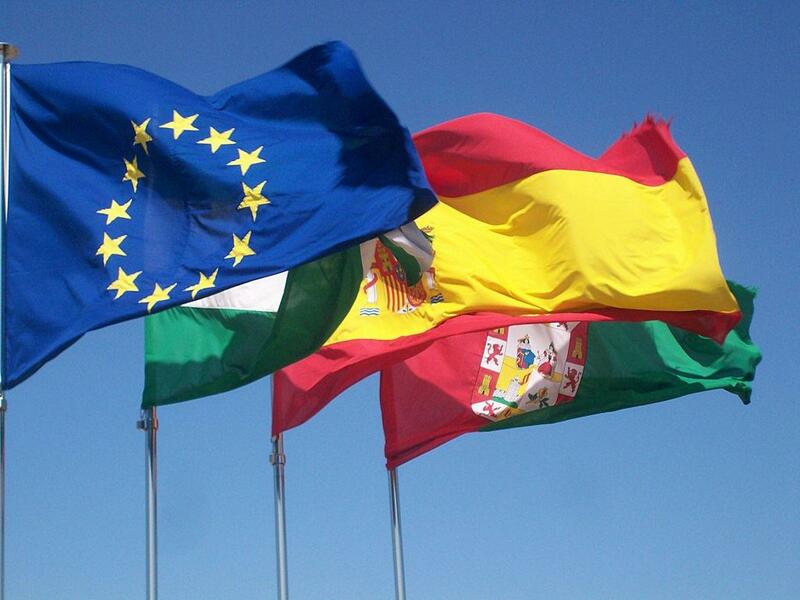 de sangre, y de sol.